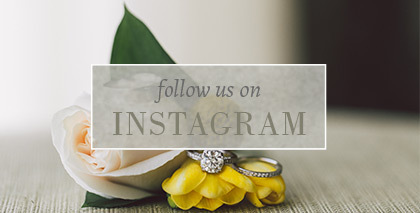 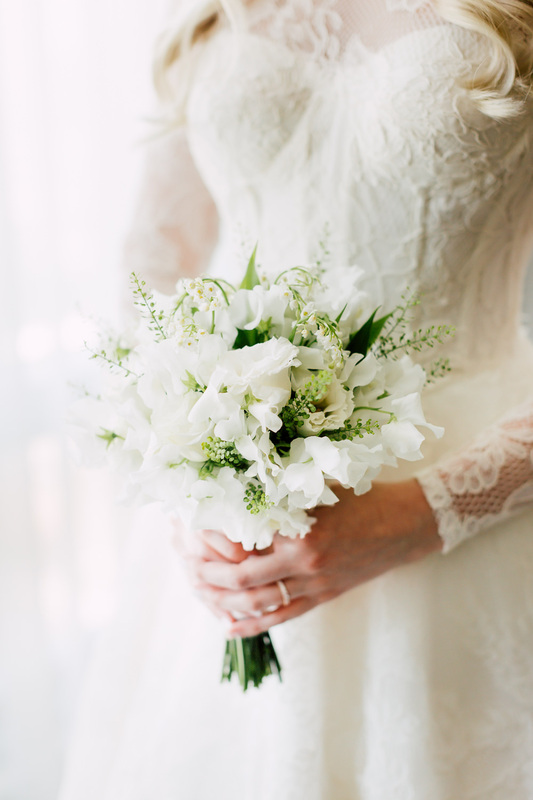 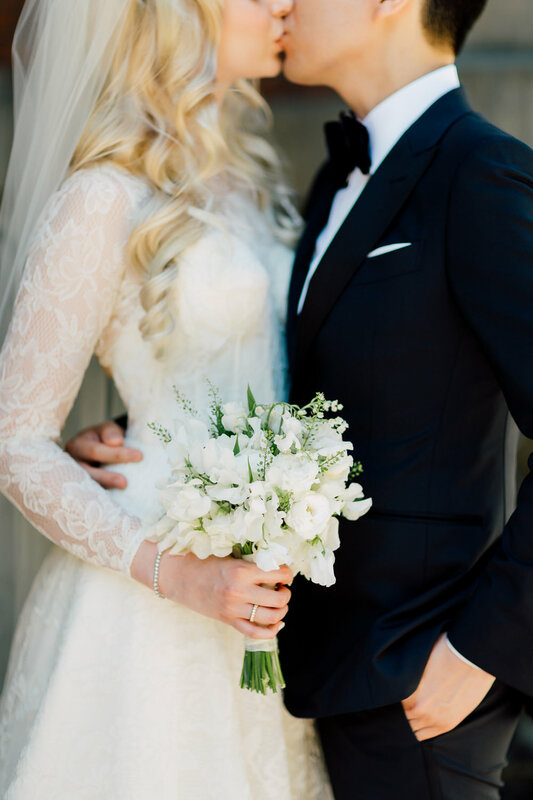 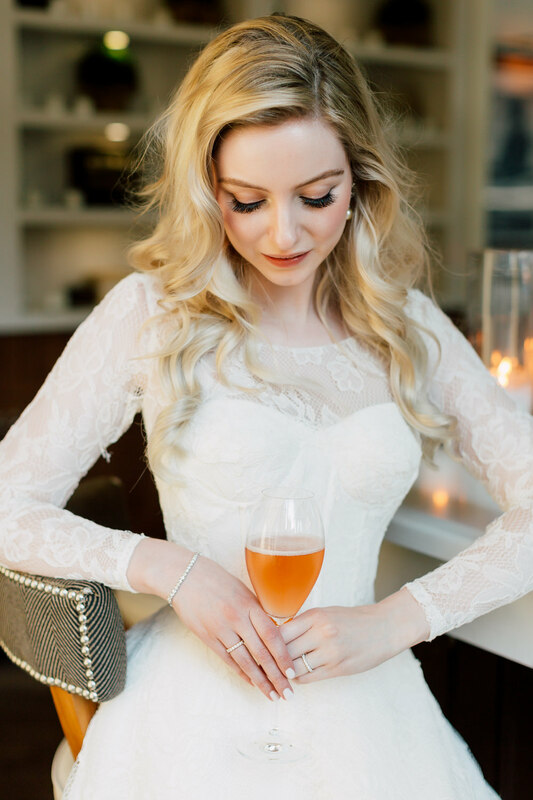 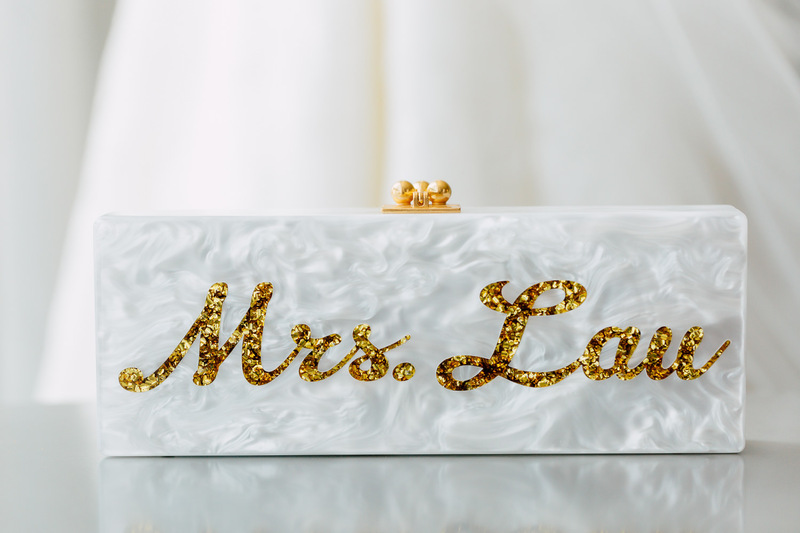 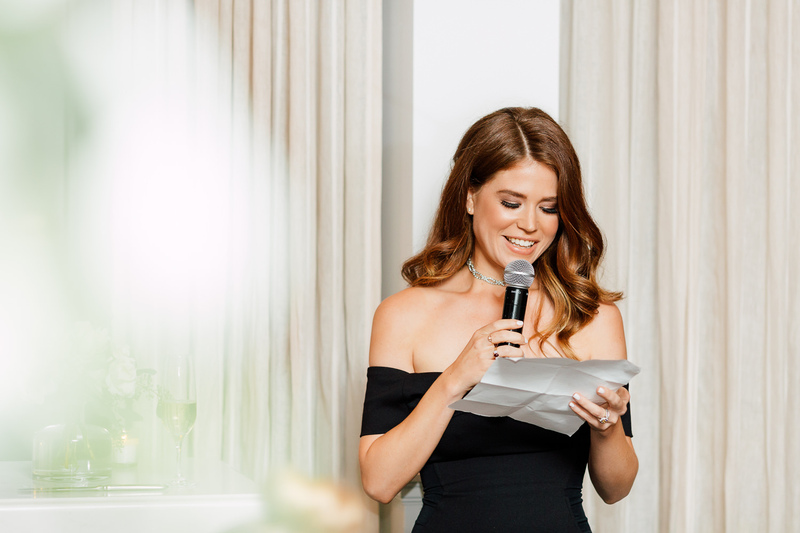 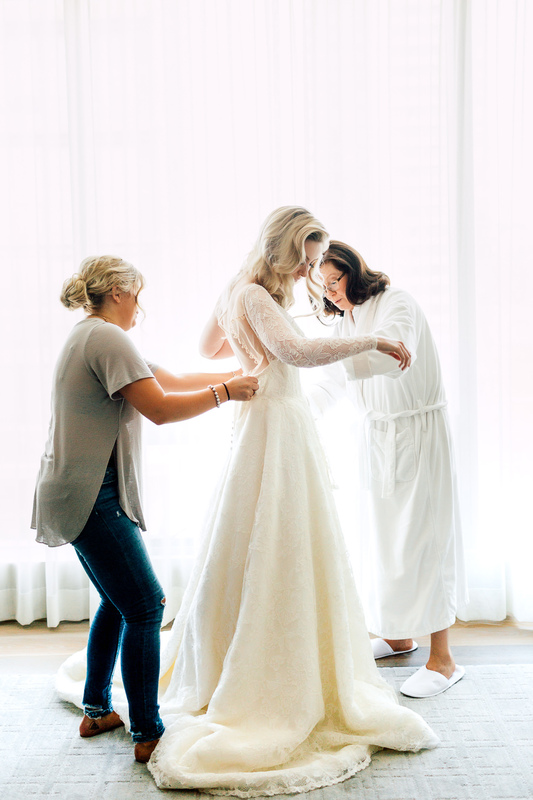 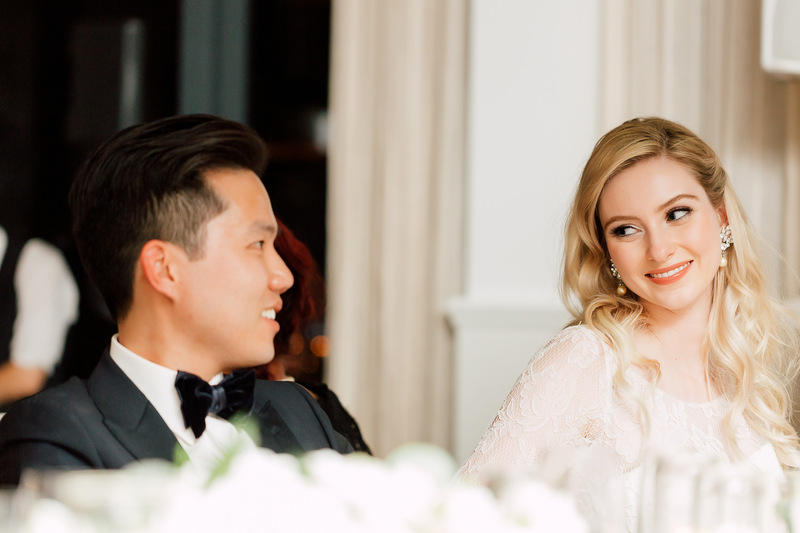 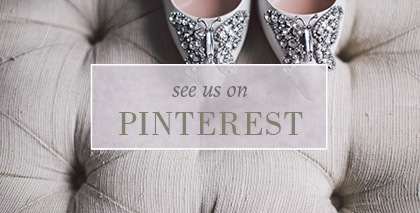 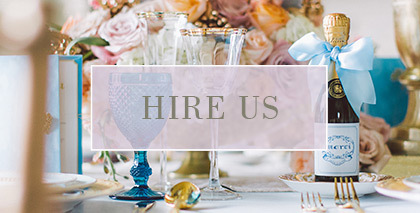 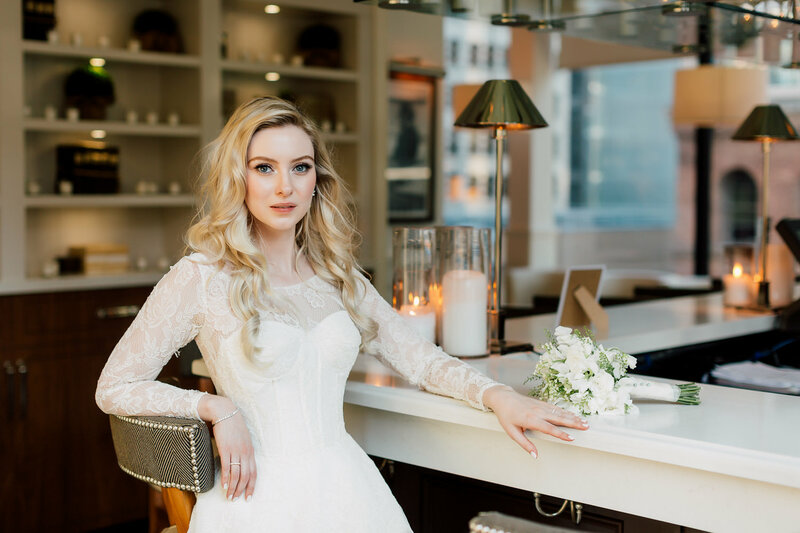 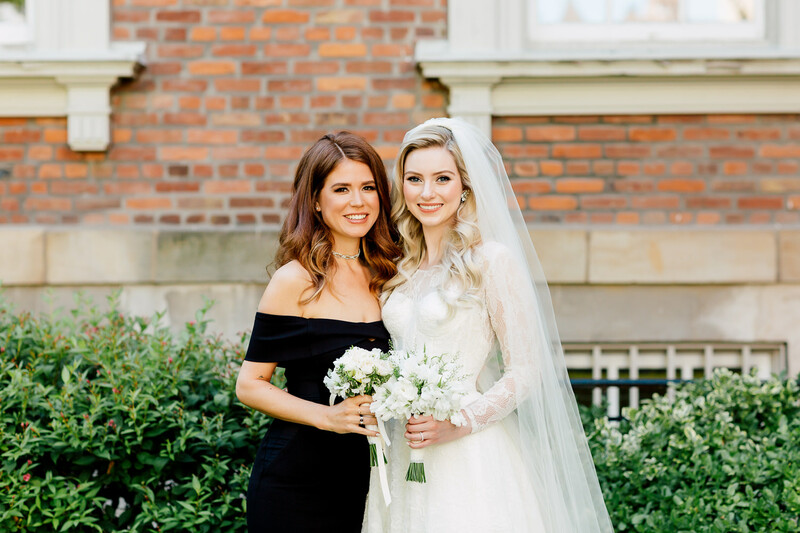 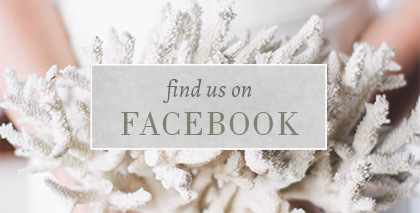 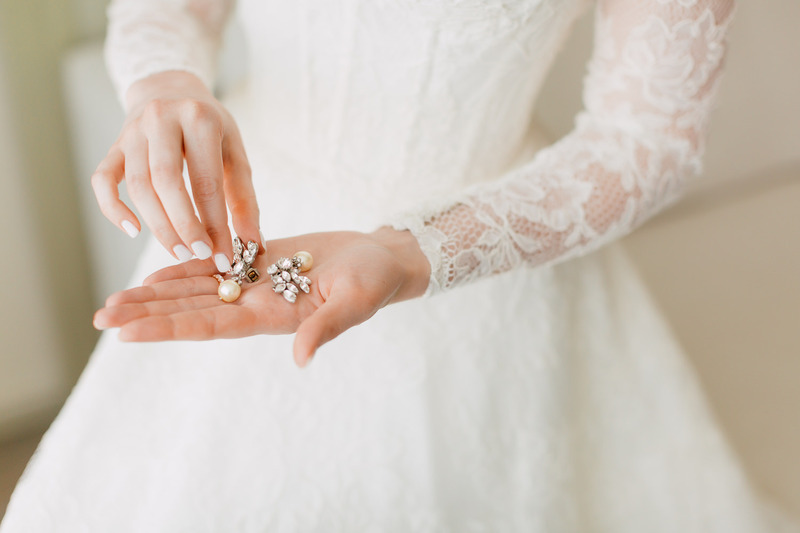 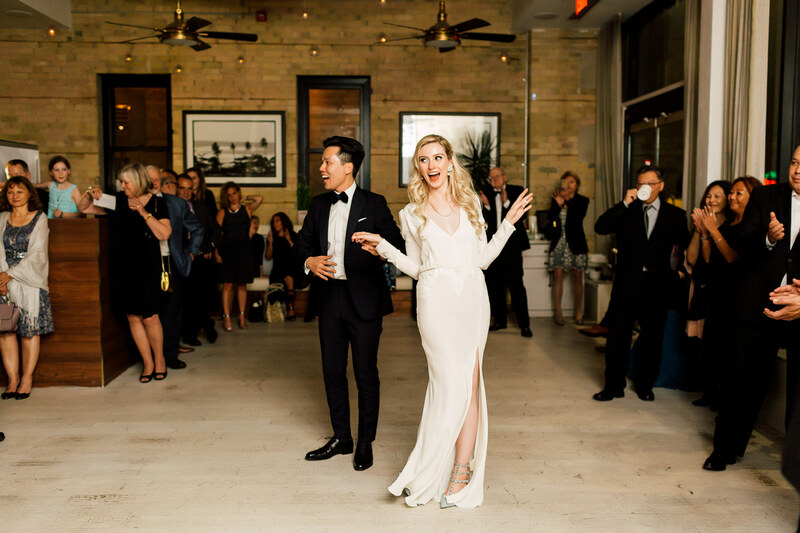 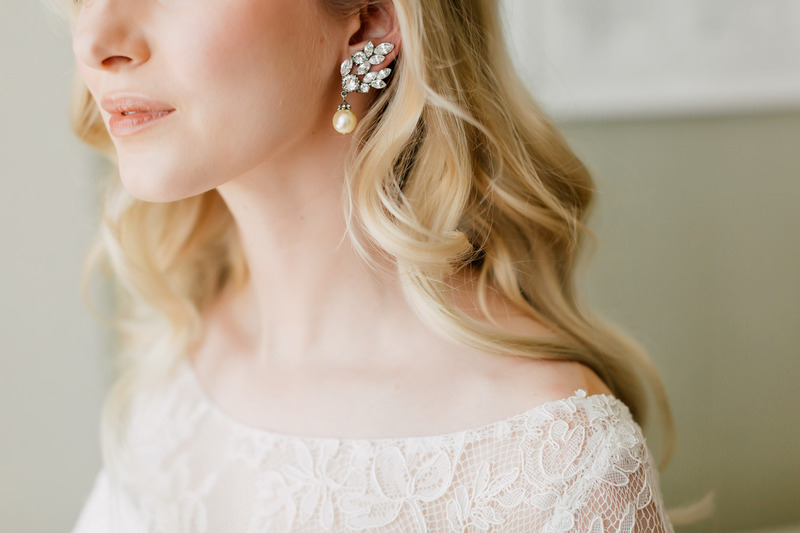 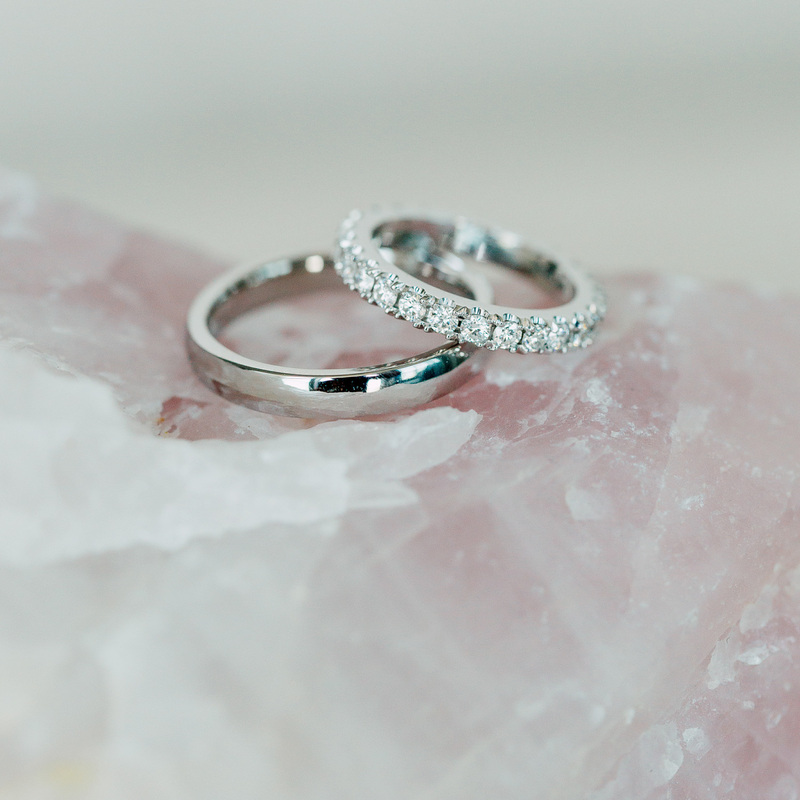 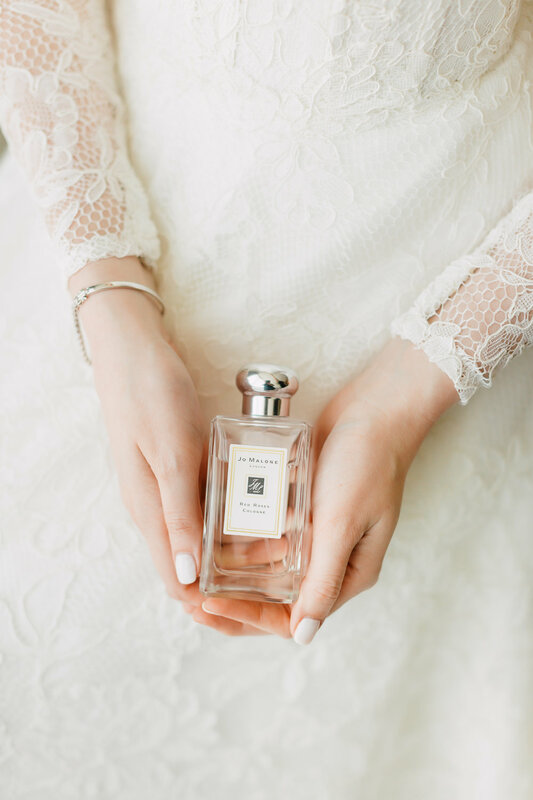 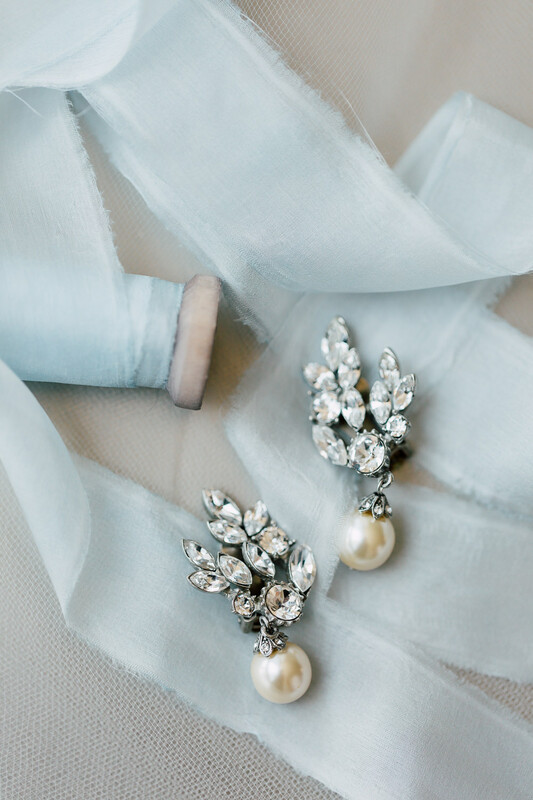 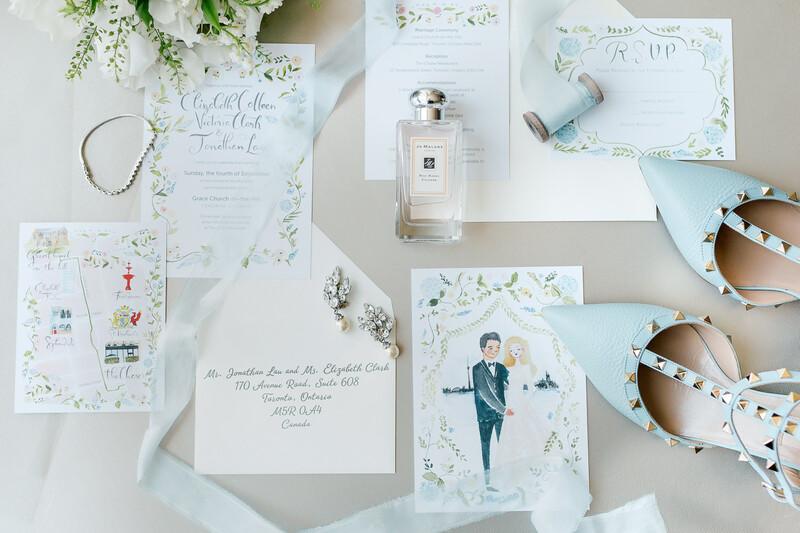 As the fashion and style editor of WedLuxe Magazine, Elizabeth is no stranger to the wedding industry. 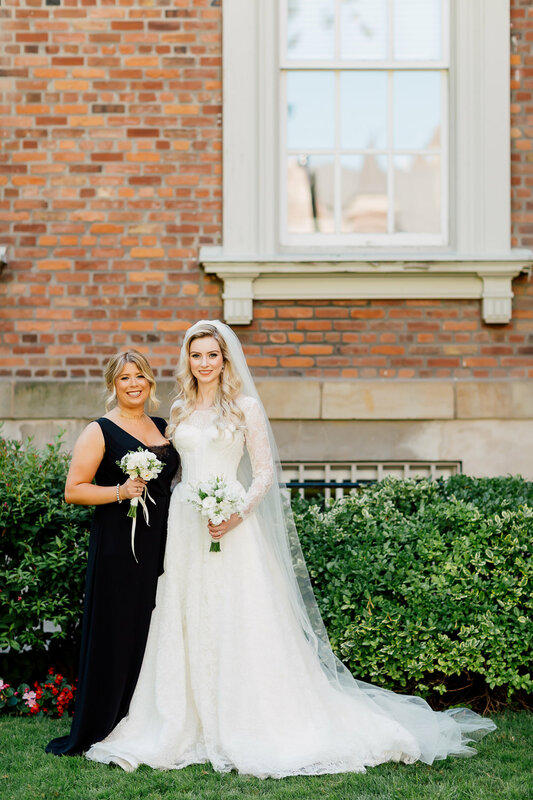 You can only imagine how honoured (and a bit pressured) we felt when Elizabeth entrusted us to photograph her special day. 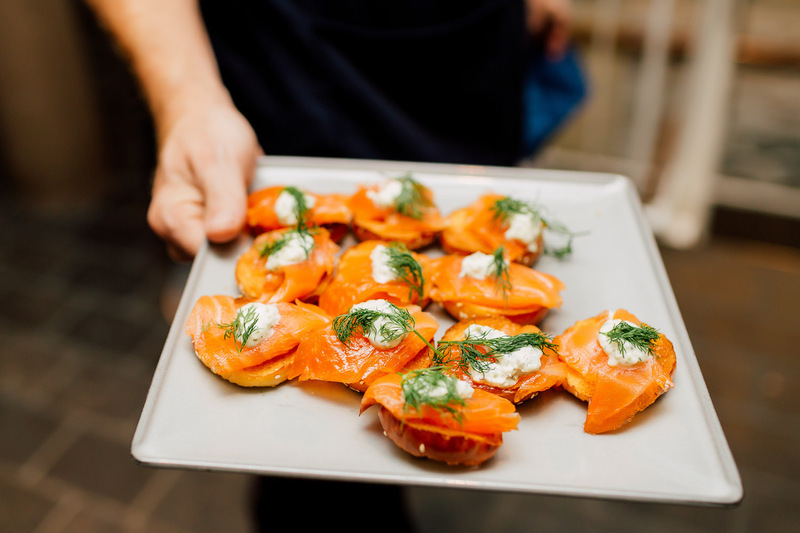 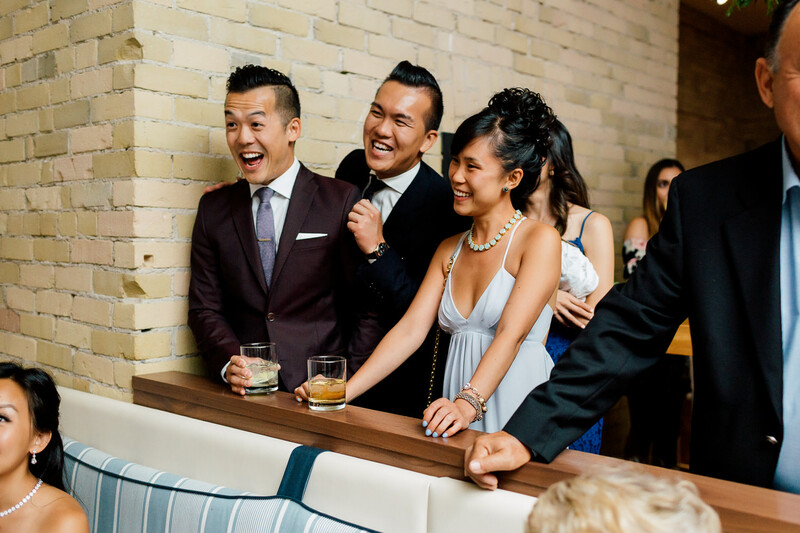 With a tight knit team of vendors involved, we knew the day was going to be fun filled! 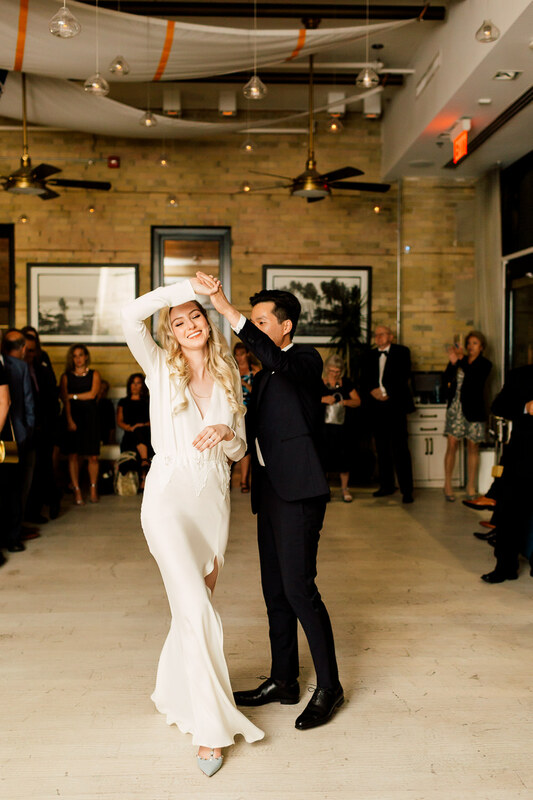 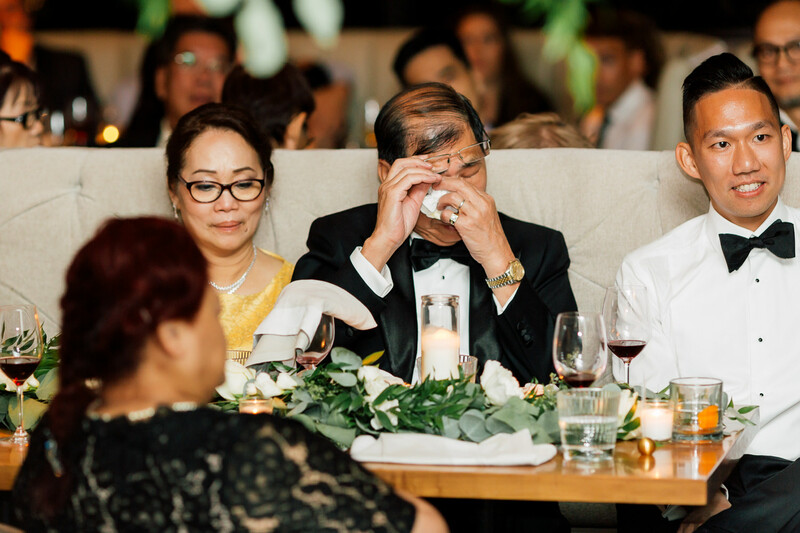 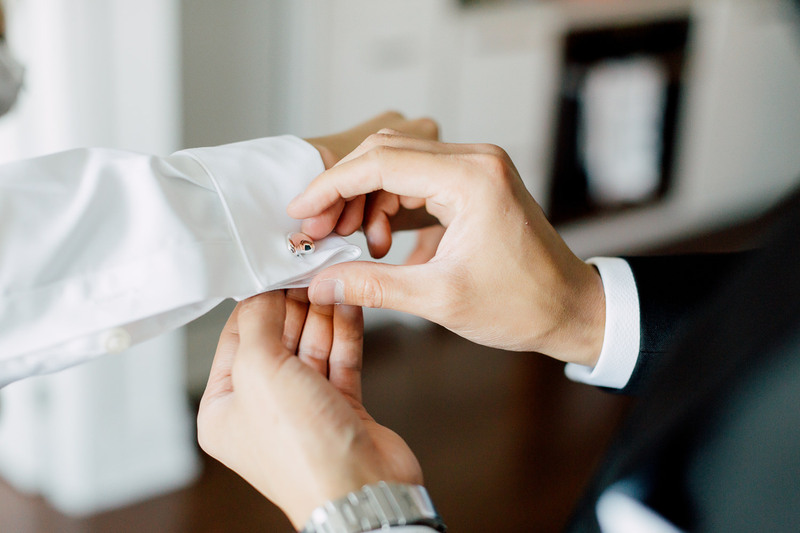 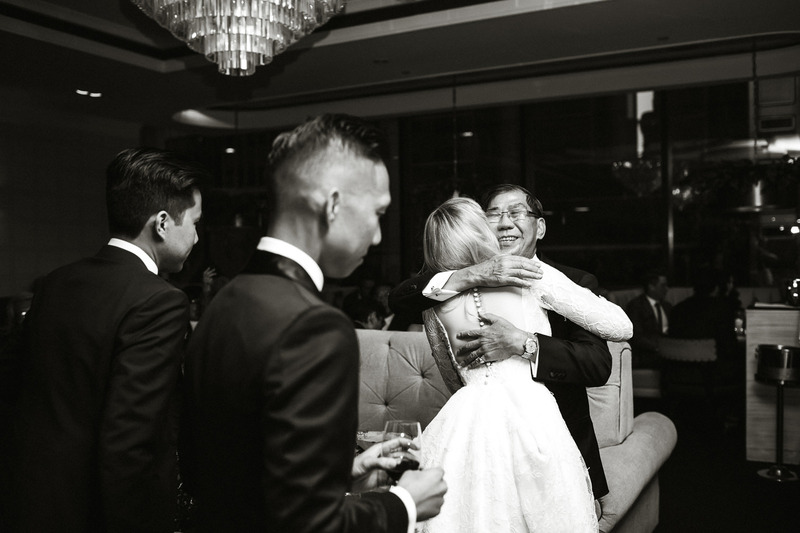 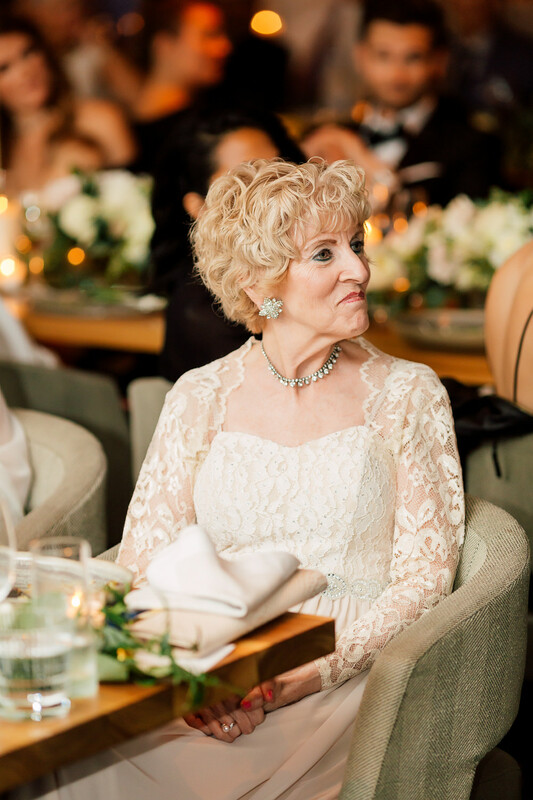 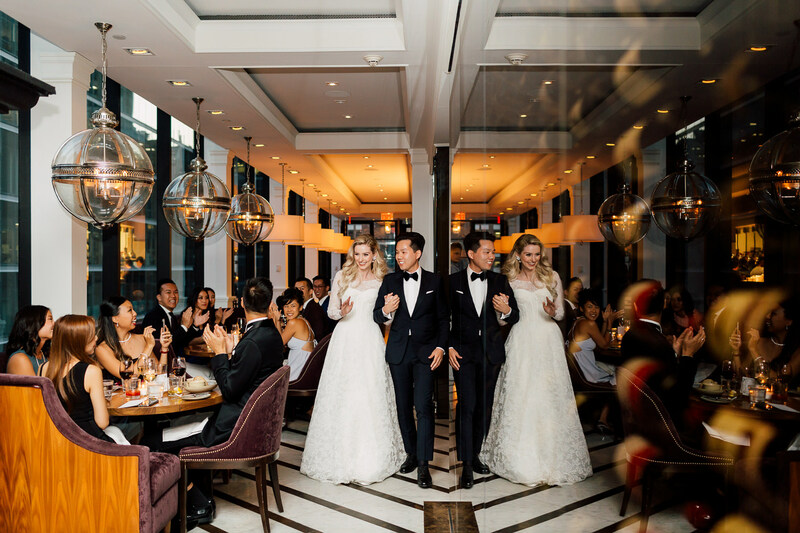 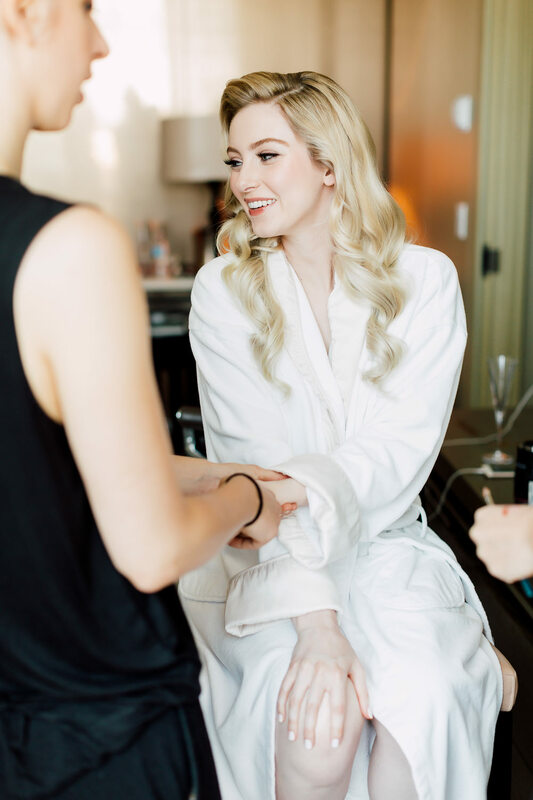 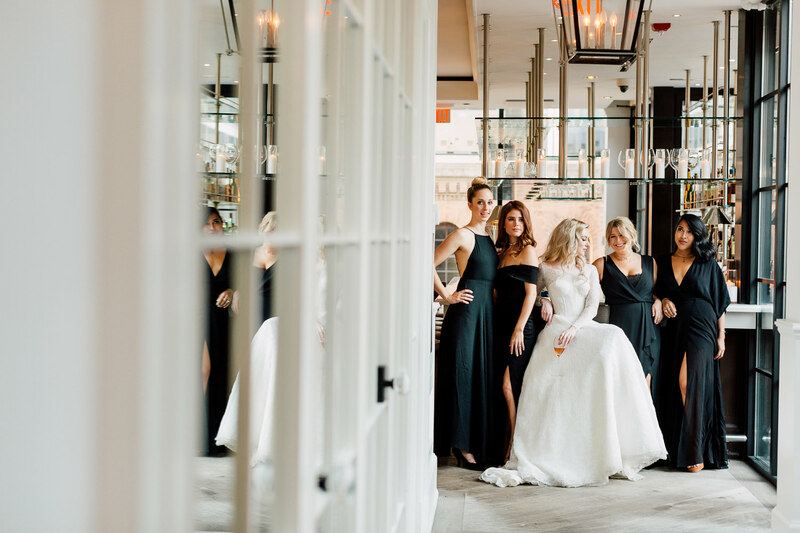 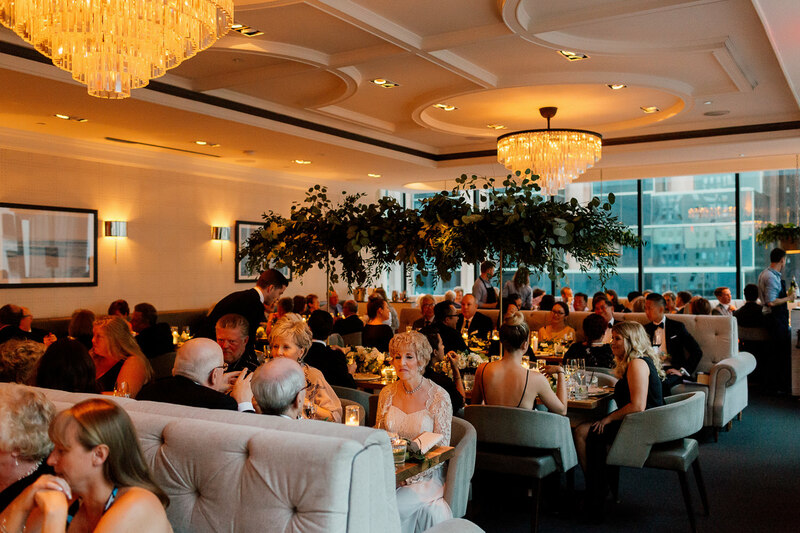 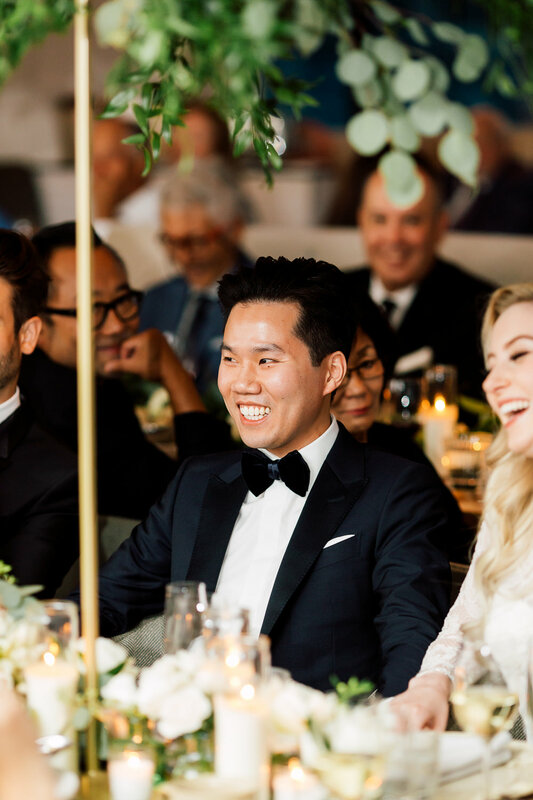 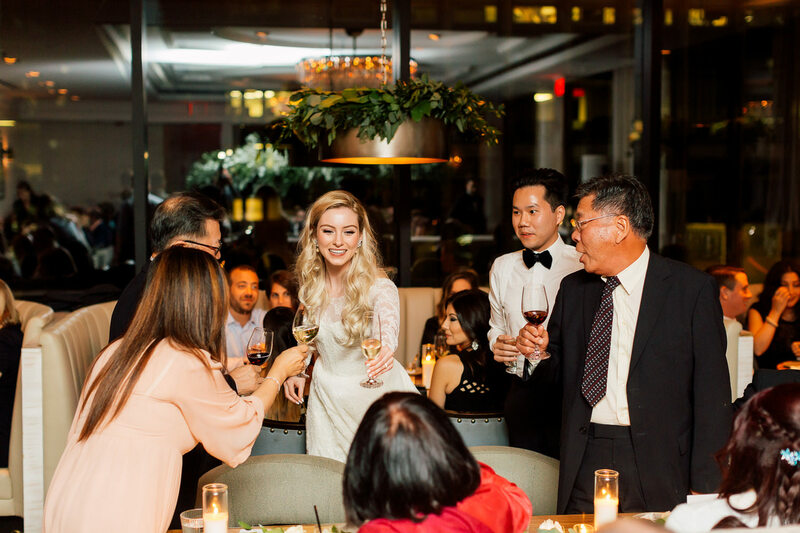 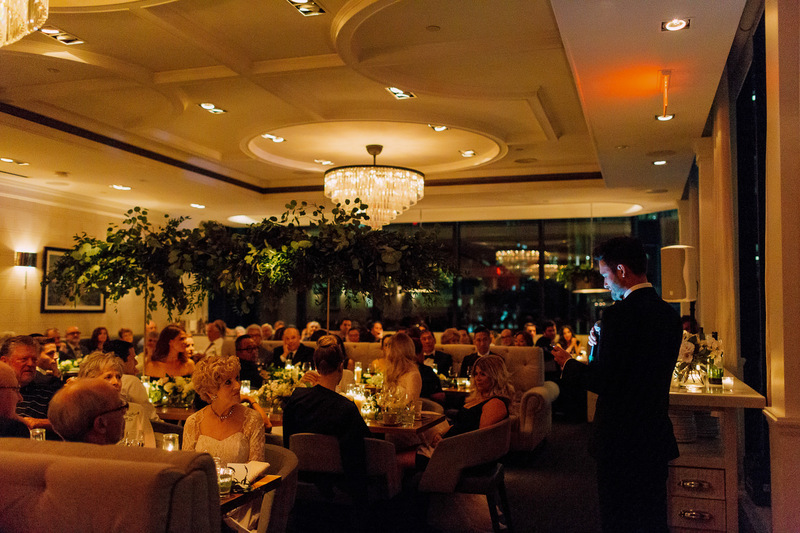 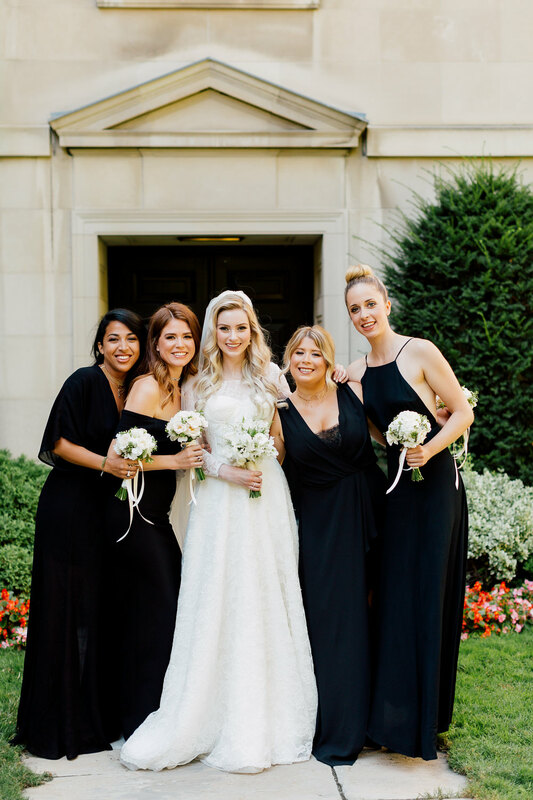 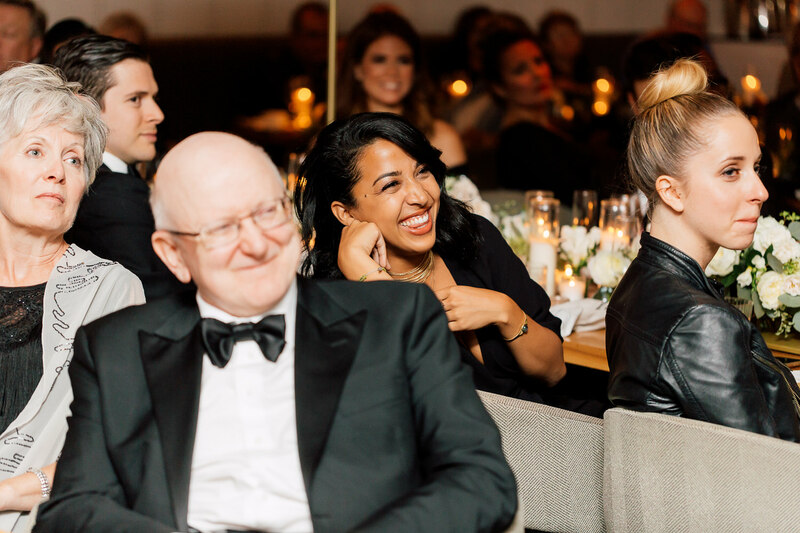 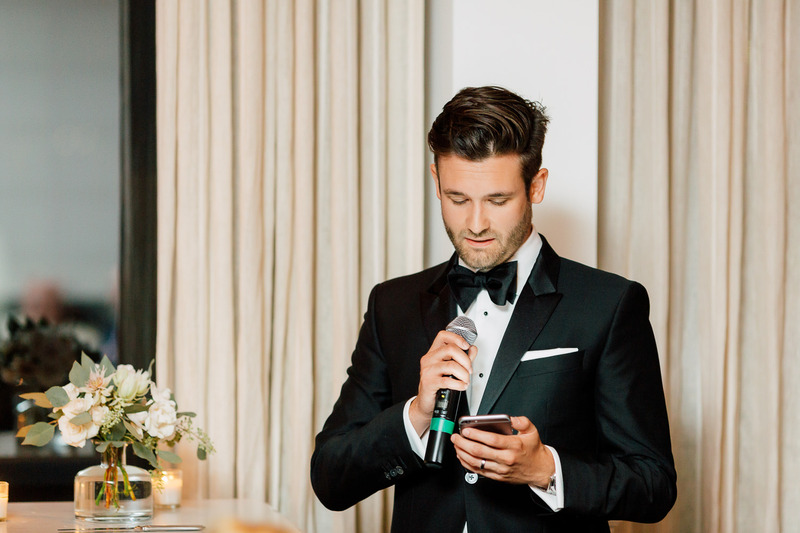 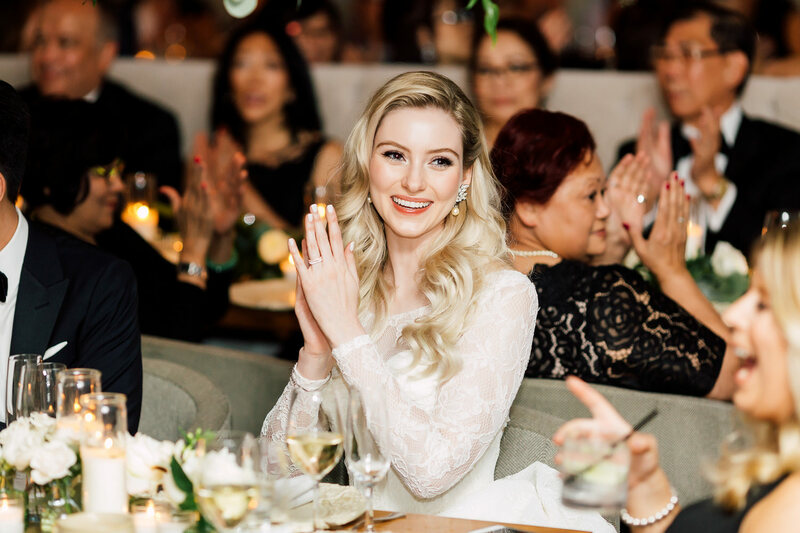 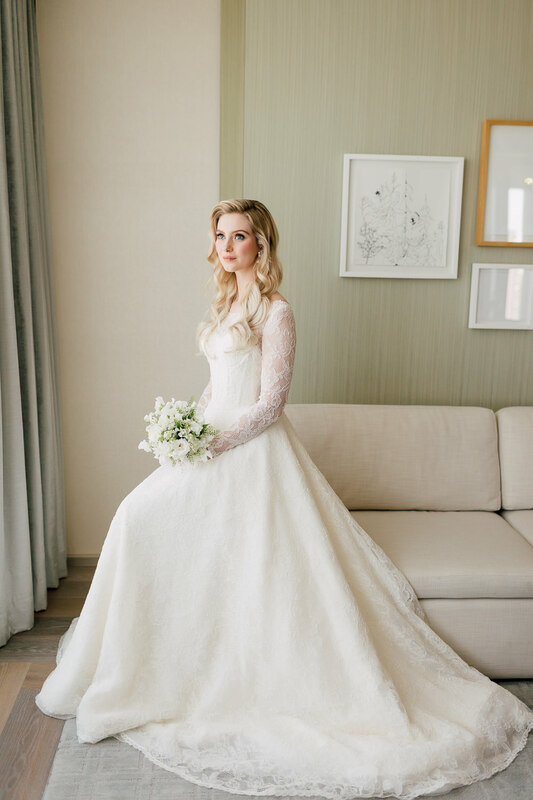 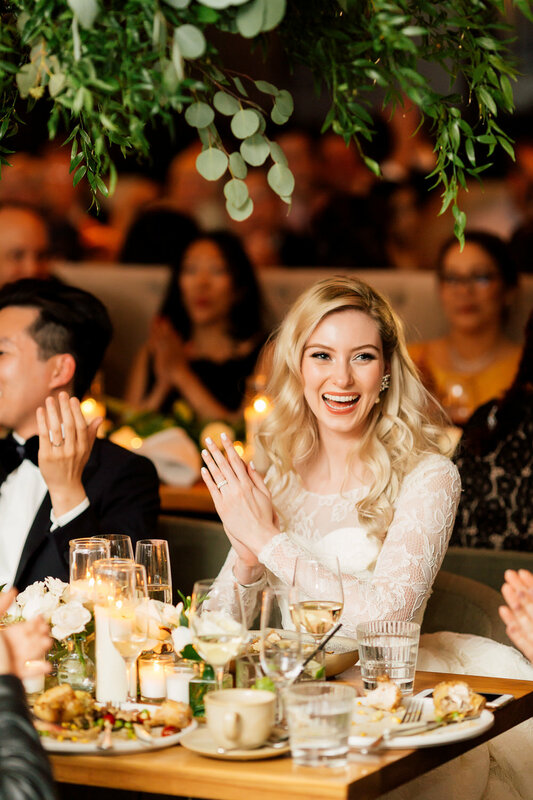 The excitement from everyone filled the bride’s room at the Four Season’s Hotel. 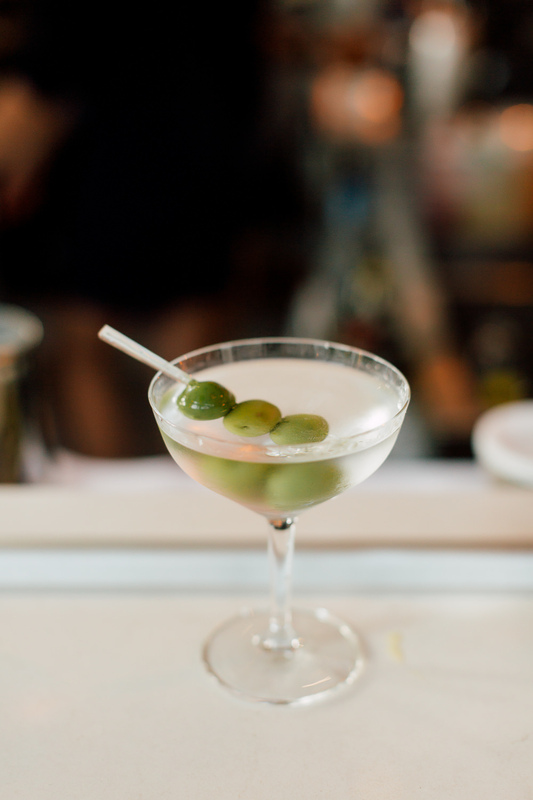 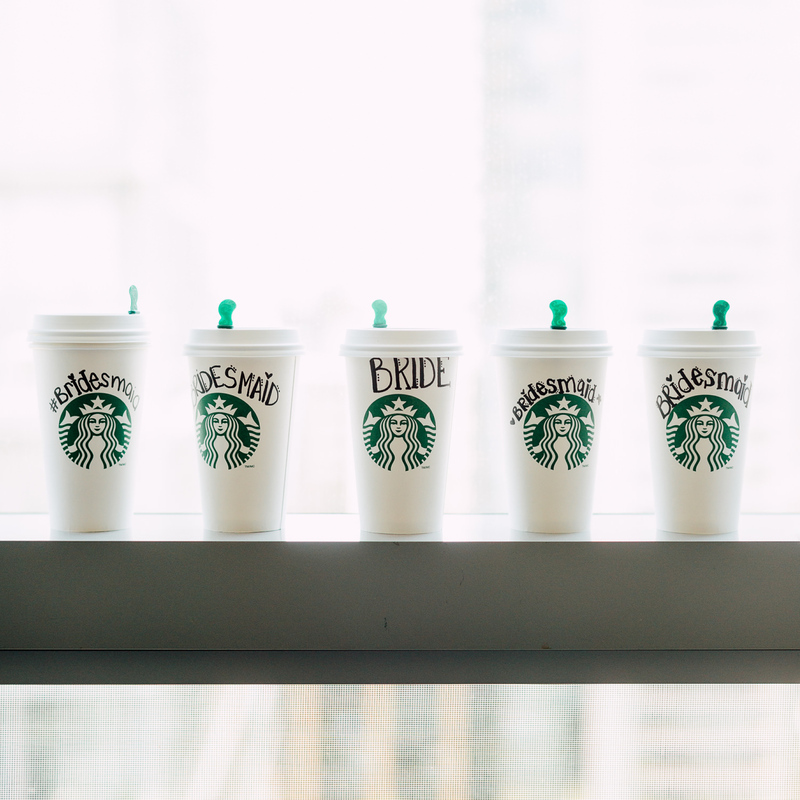 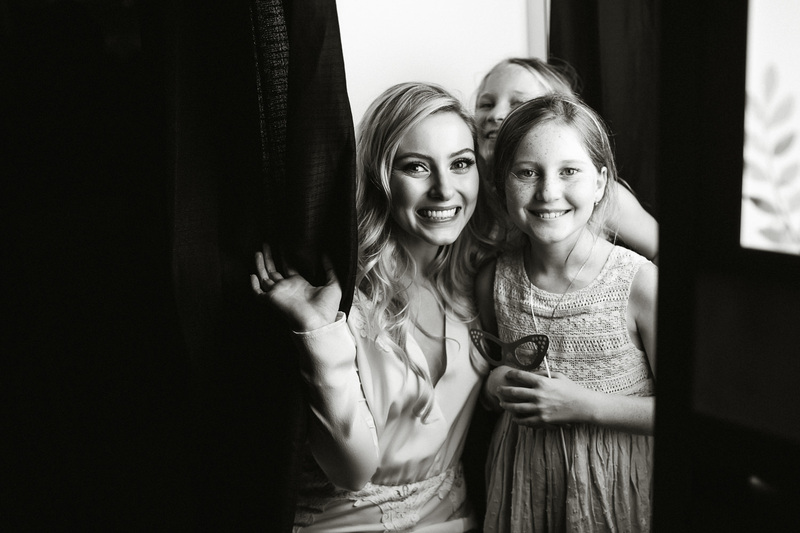 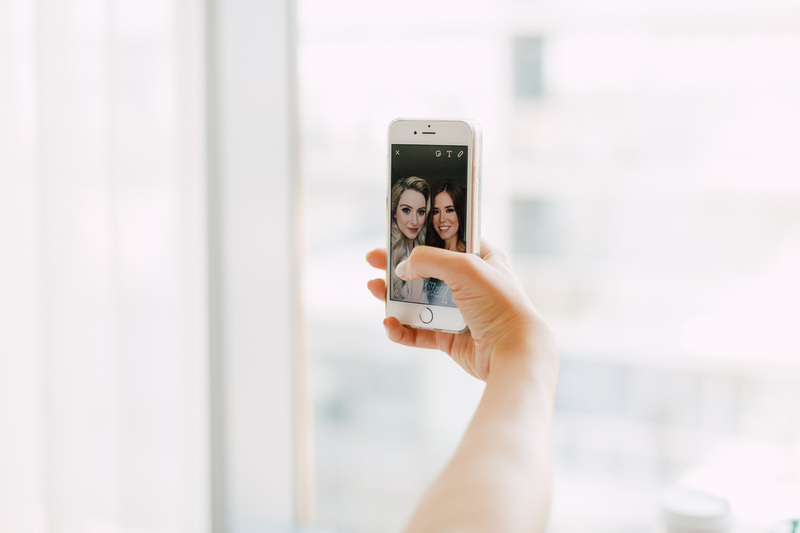 Working in the same industry, Elizabeth and the team of vendors felt like family. 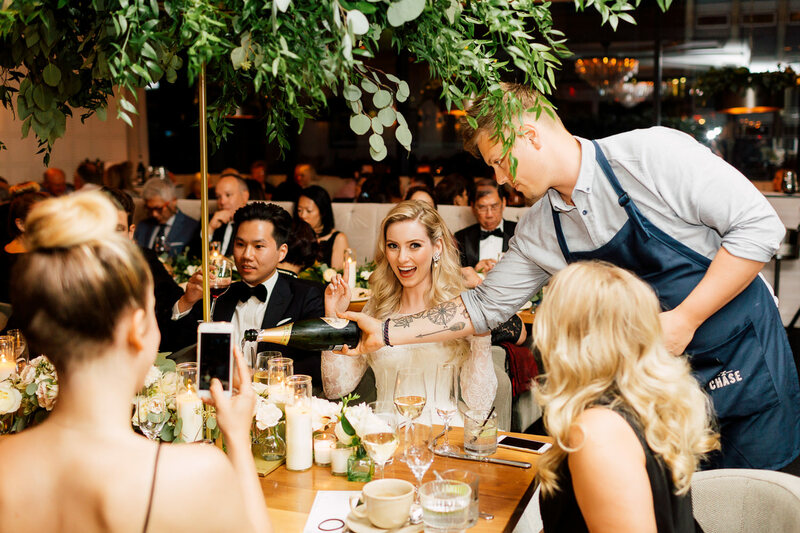 We even drank champagne together in celebration! 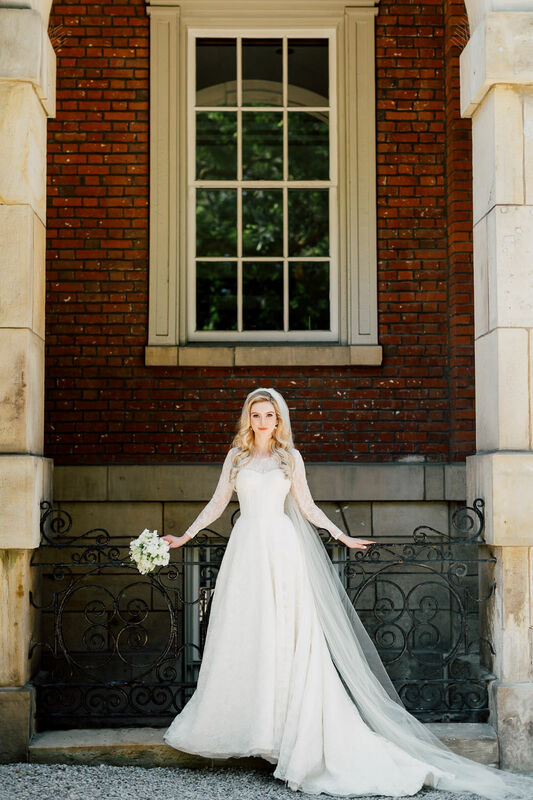 After seeing millions of brides, Elizabeth was finally the one in the white dress. 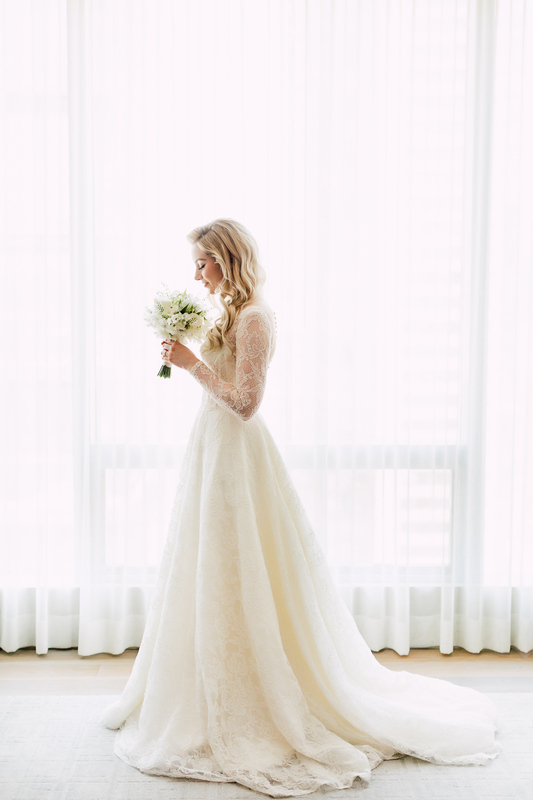 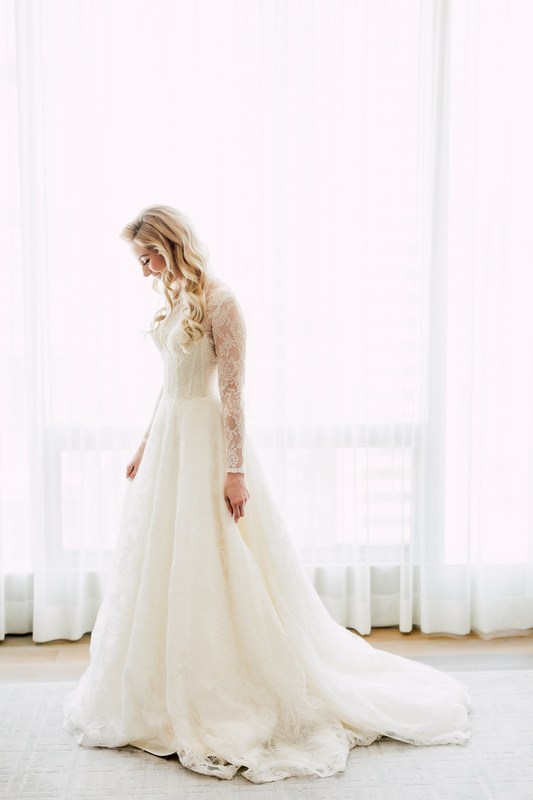 She kept it traditional with a modest gown with long sleeve lace overlay. 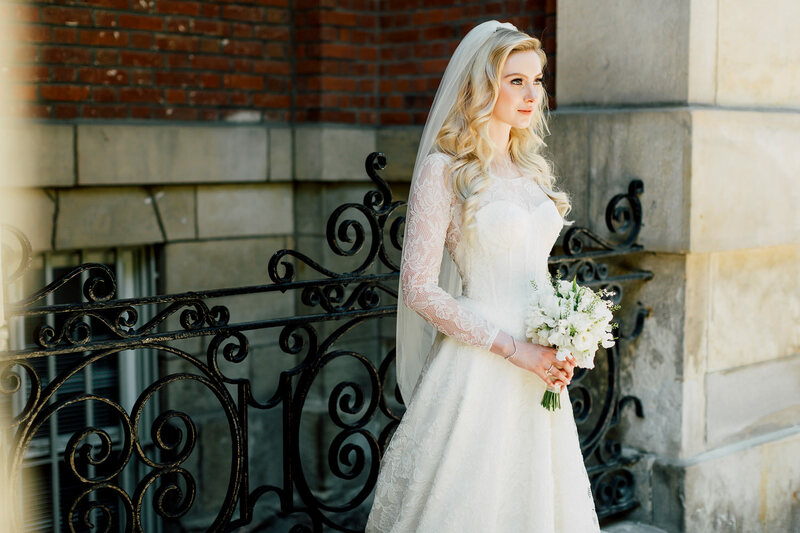 She looked elegant and graceful, and very much like a certain Disney princess! 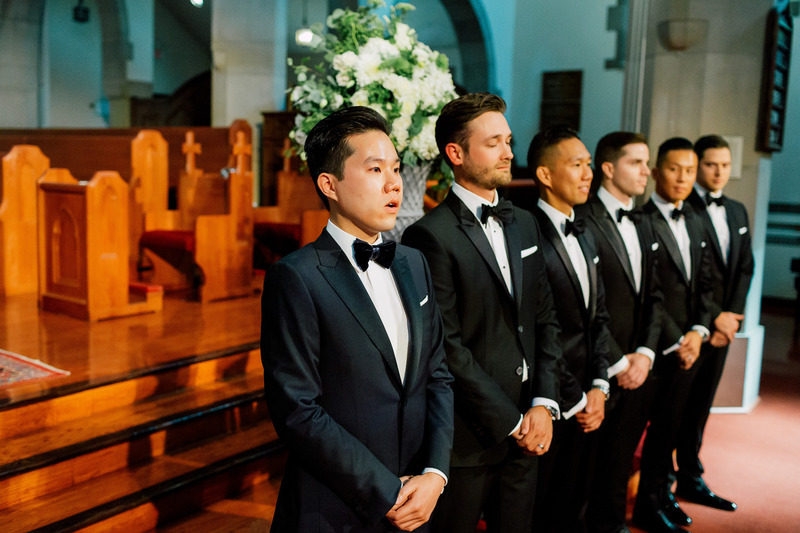 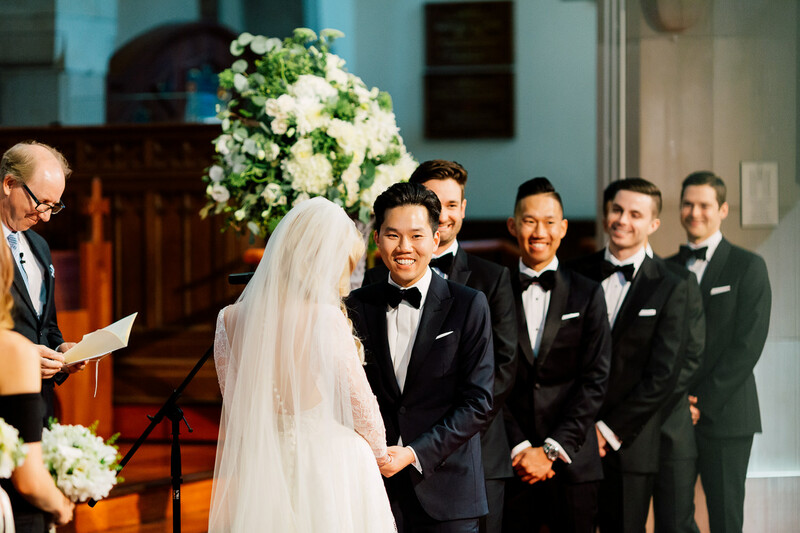 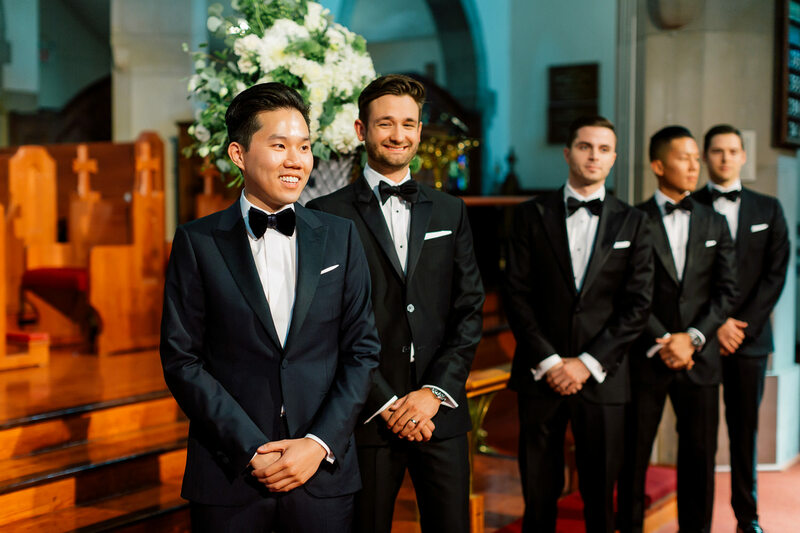 Jonathan waited patiently for his bride to enter the doors of Grace On The Hill church. 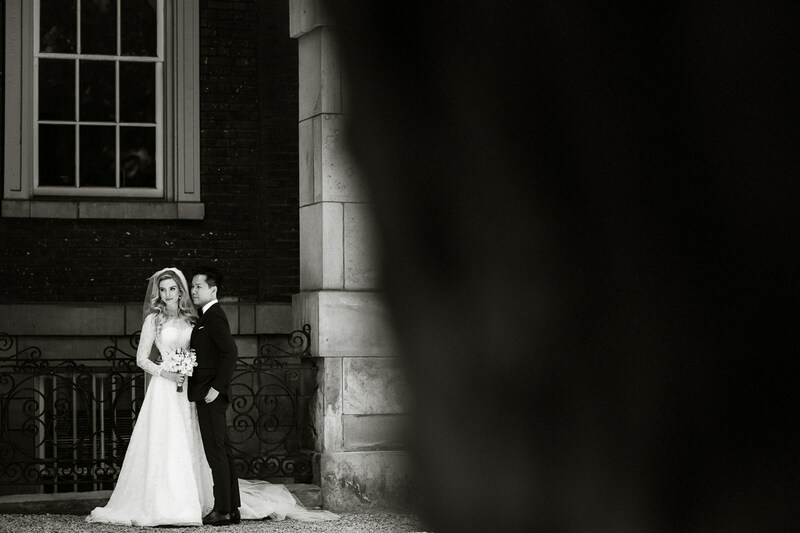 When she finally did, he was overwhelmed and stunned by the sight before him. 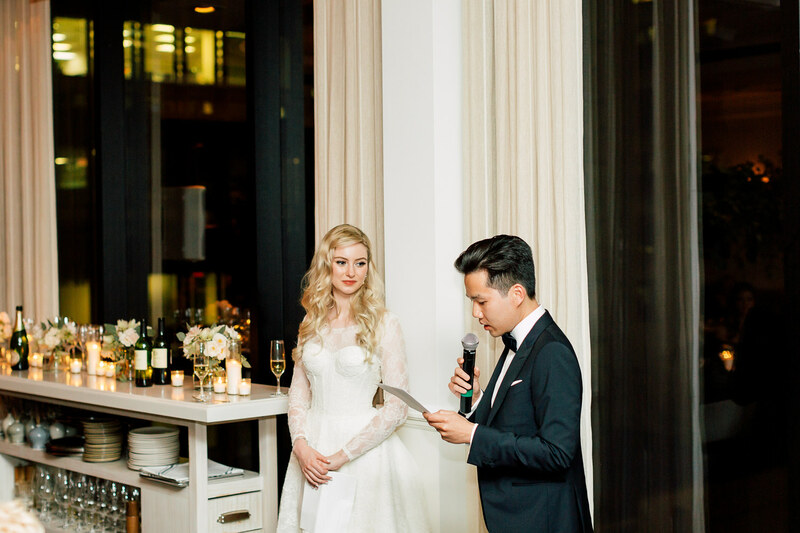 At that moment, Jonathan knew as well as we did that he’s the luckiest guy in the world. 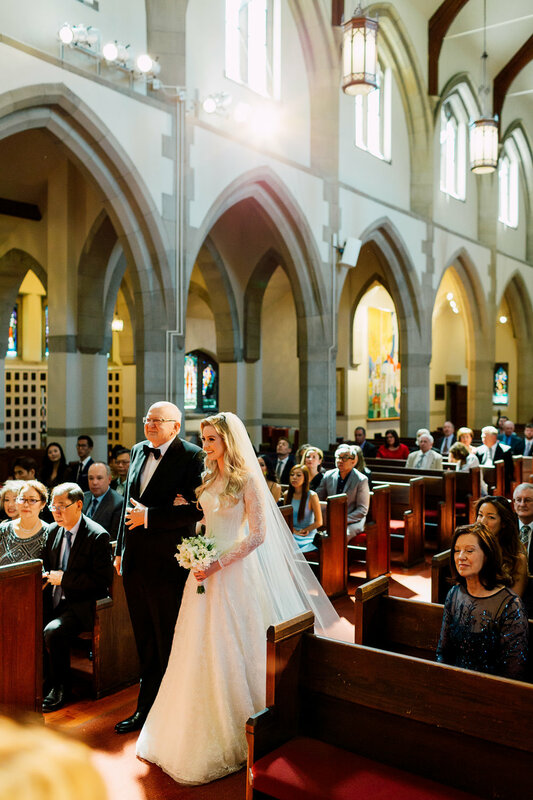 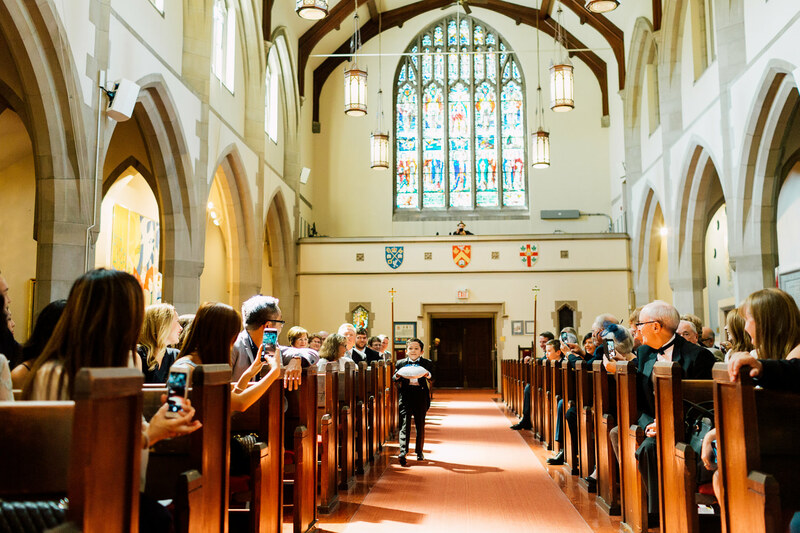 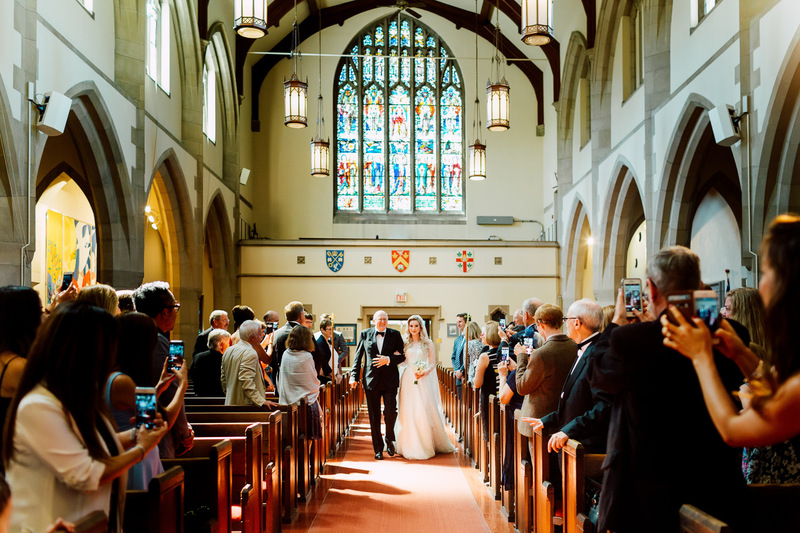 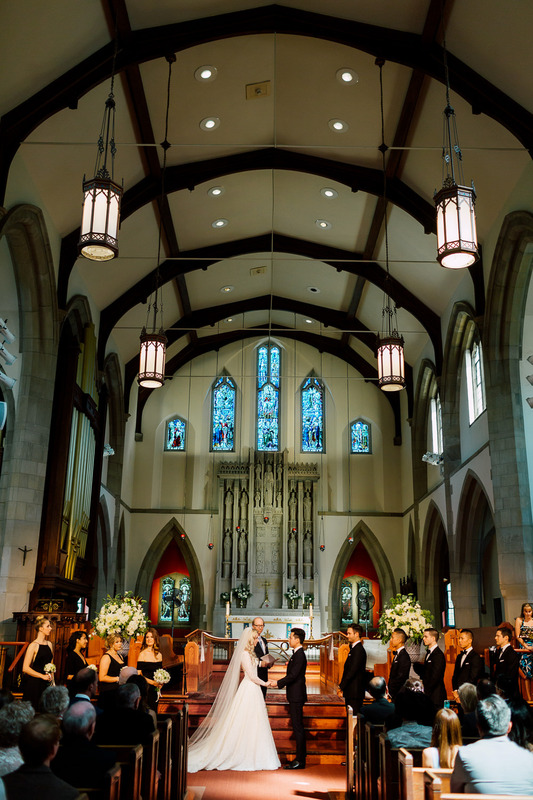 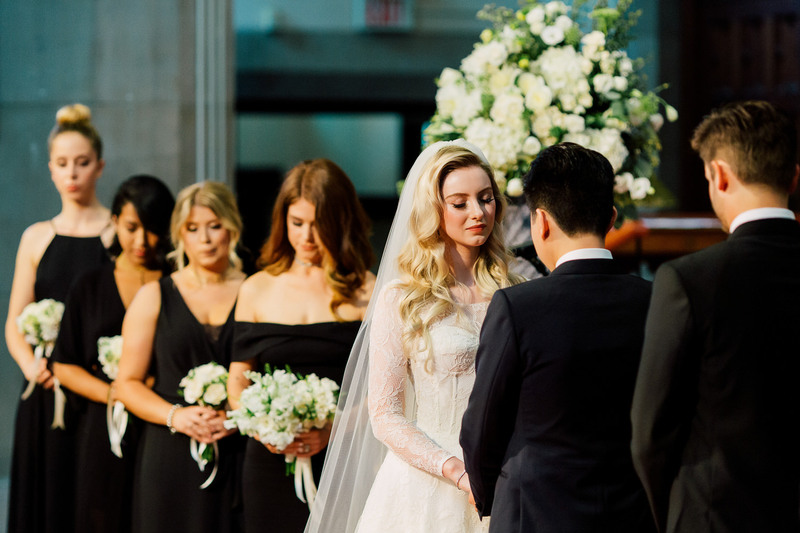 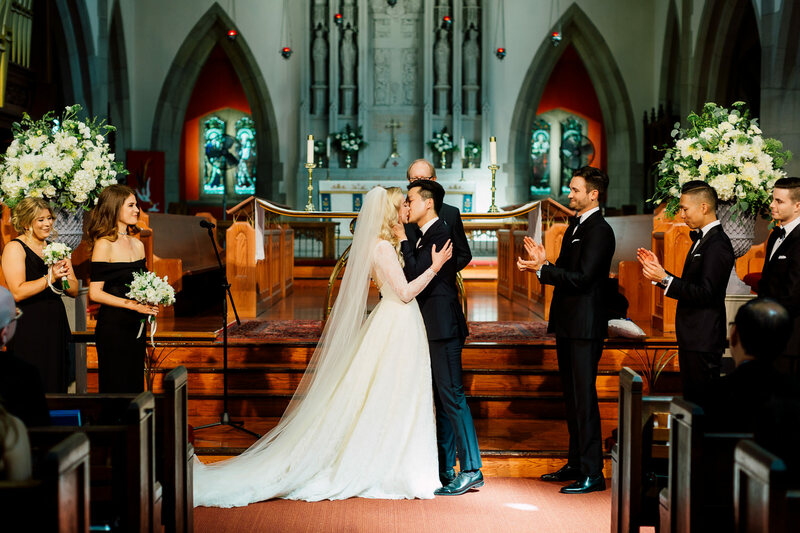 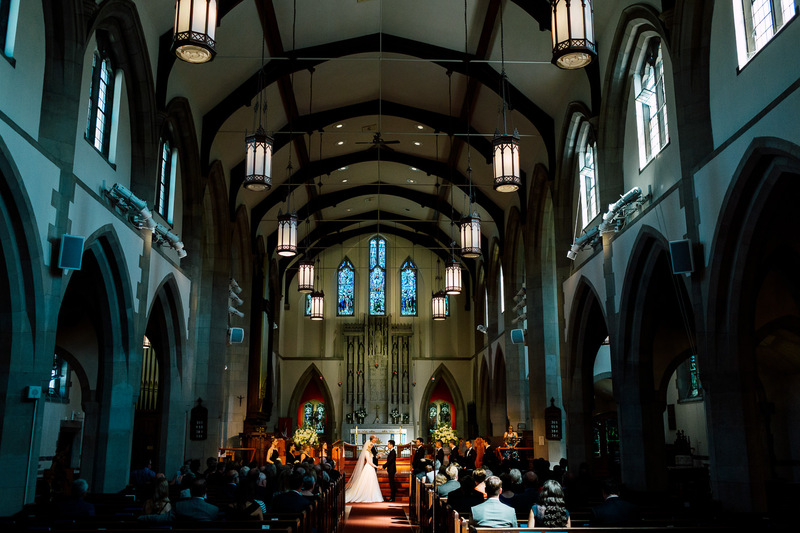 The high ceilings and wide space of the church elevated the significance of the ceremony, making the scene magnificently dramatic. 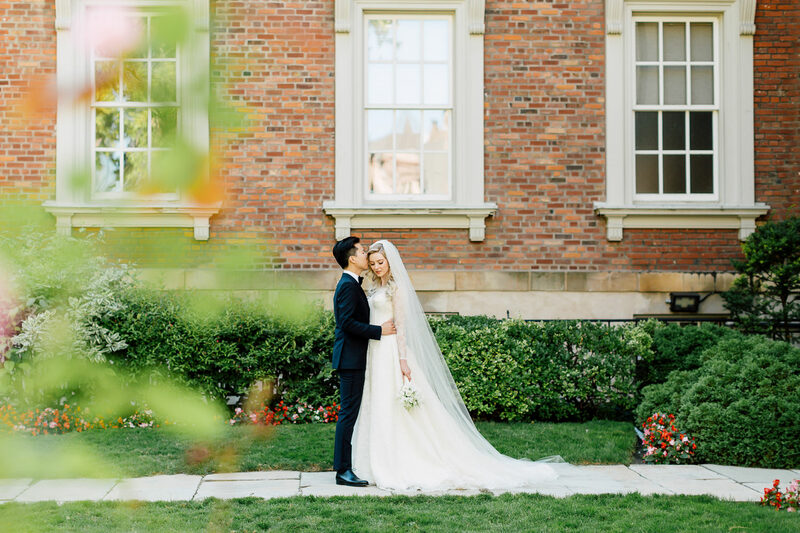 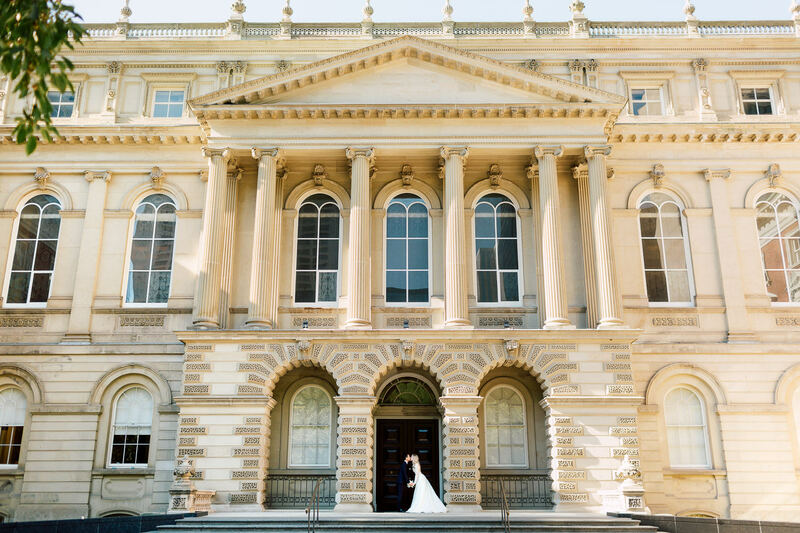 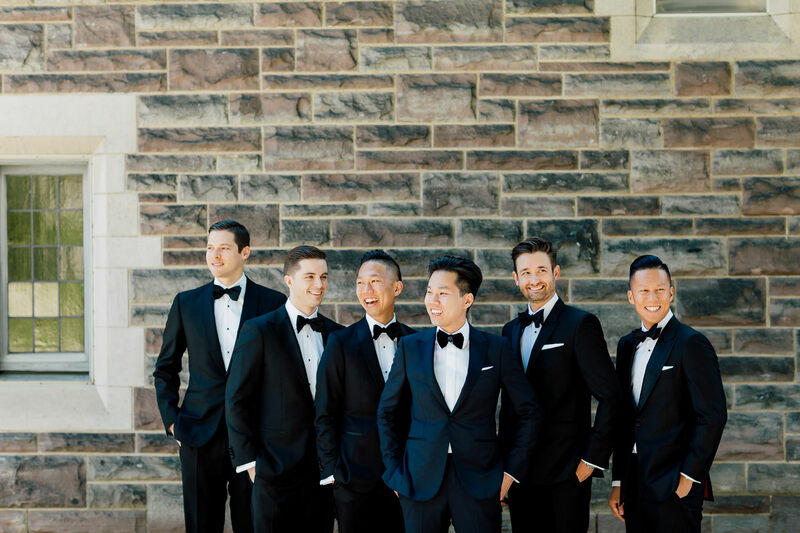 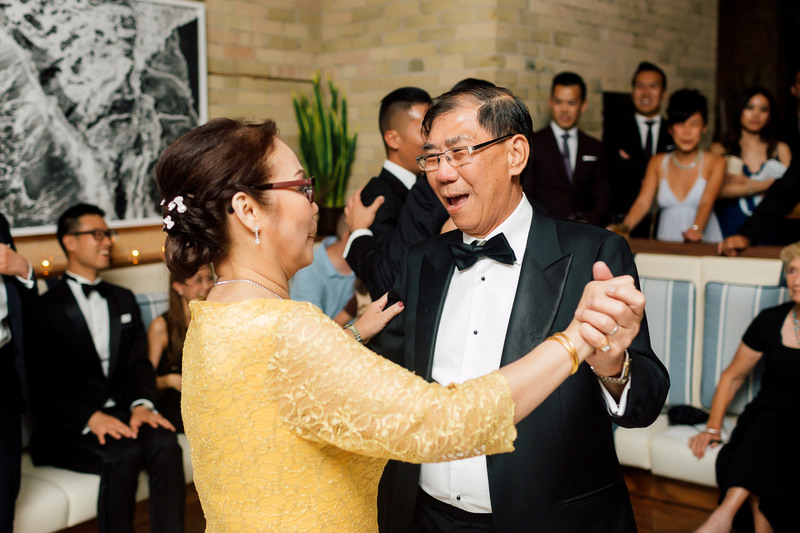 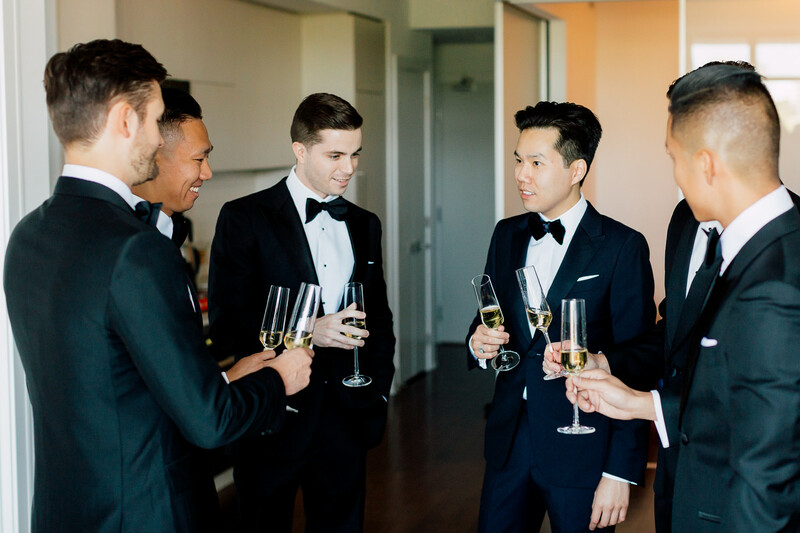 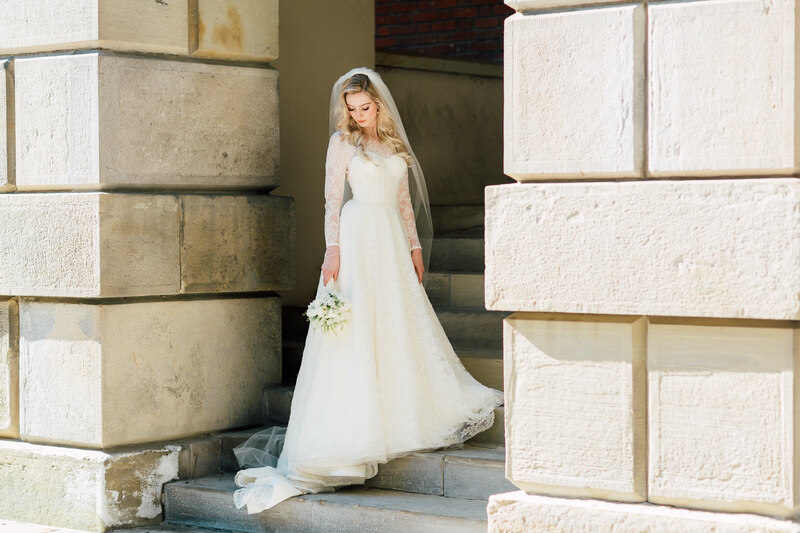 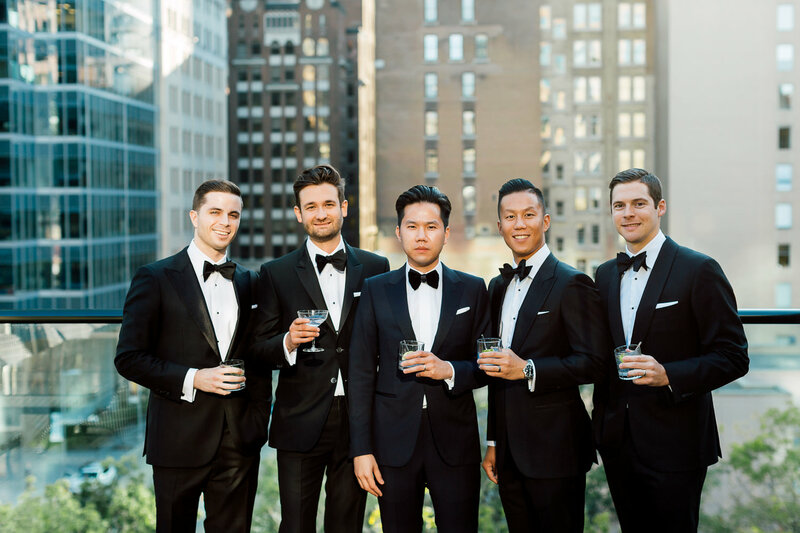 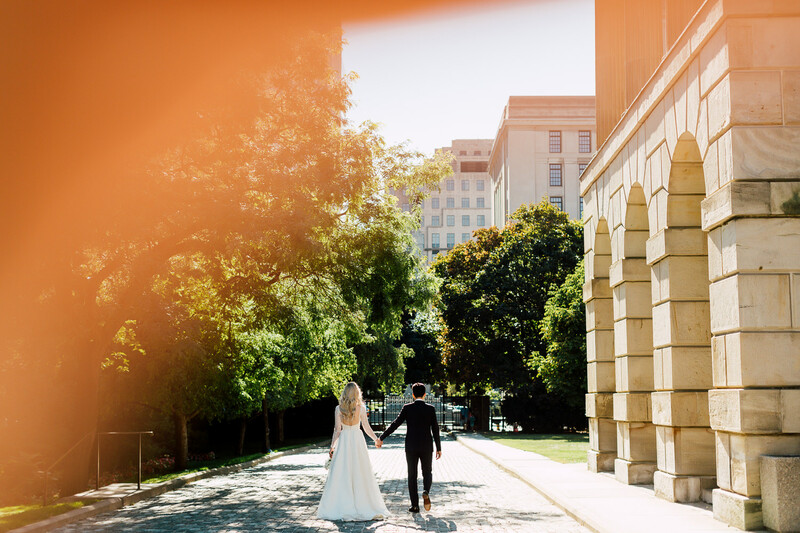 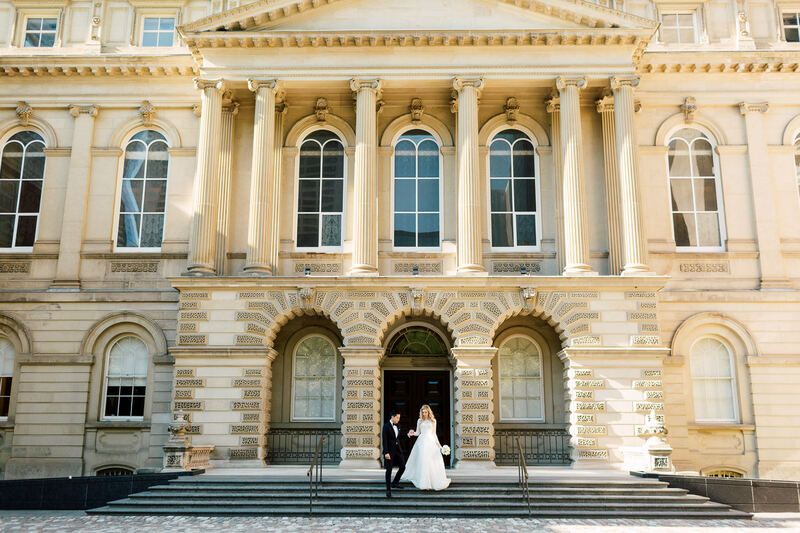 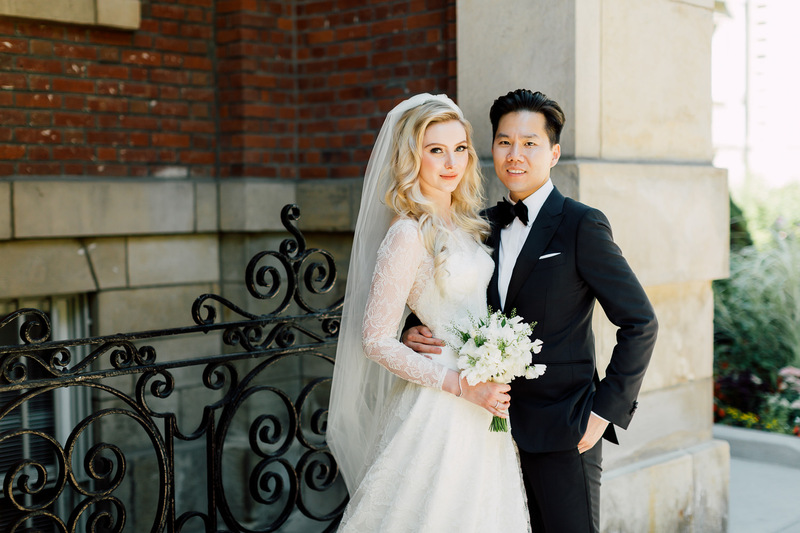 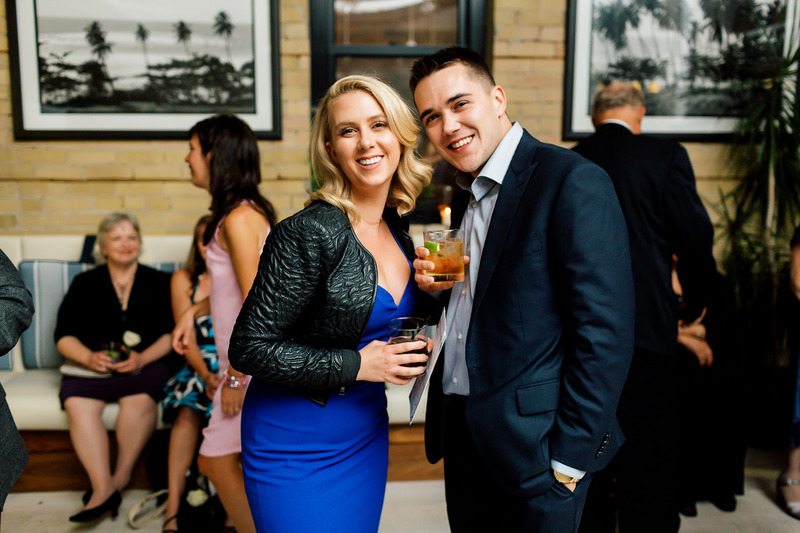 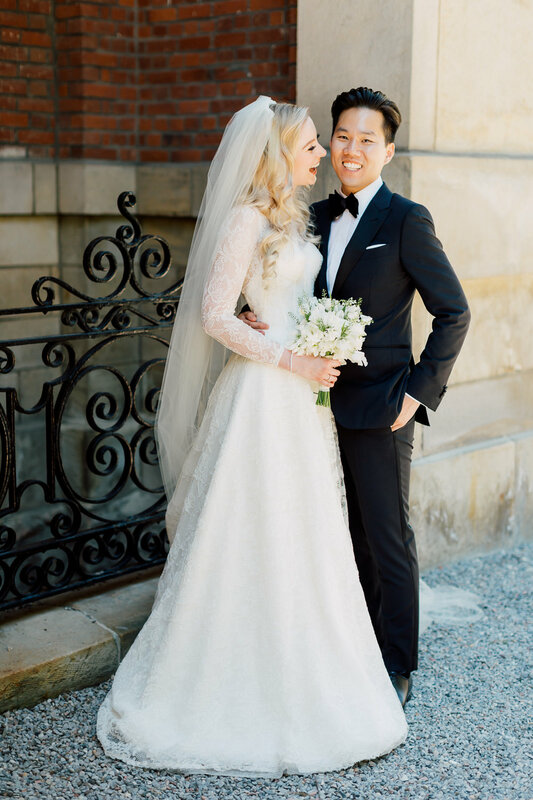 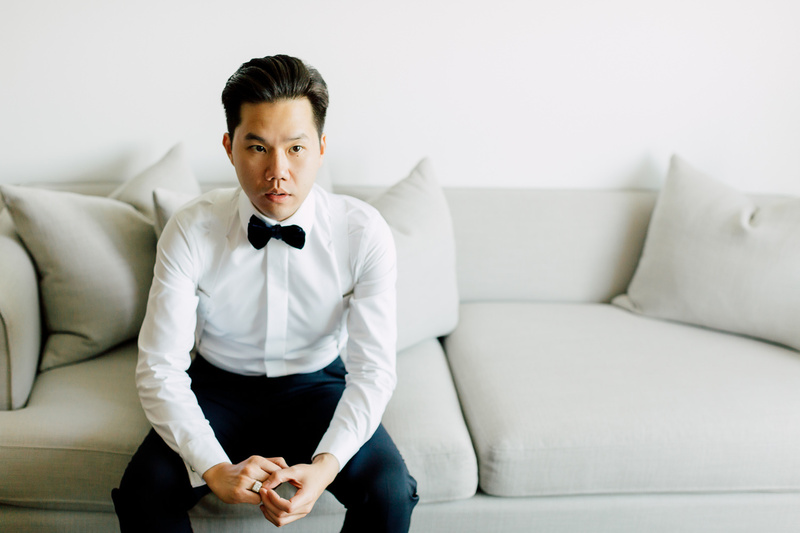 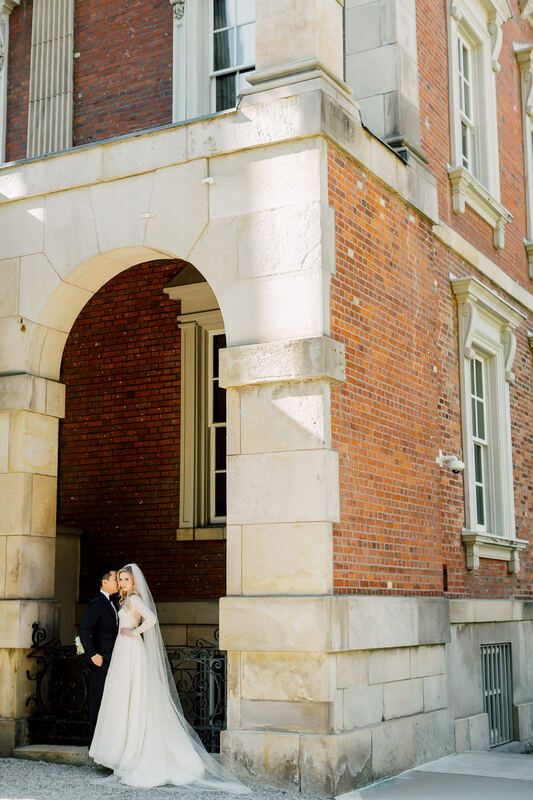 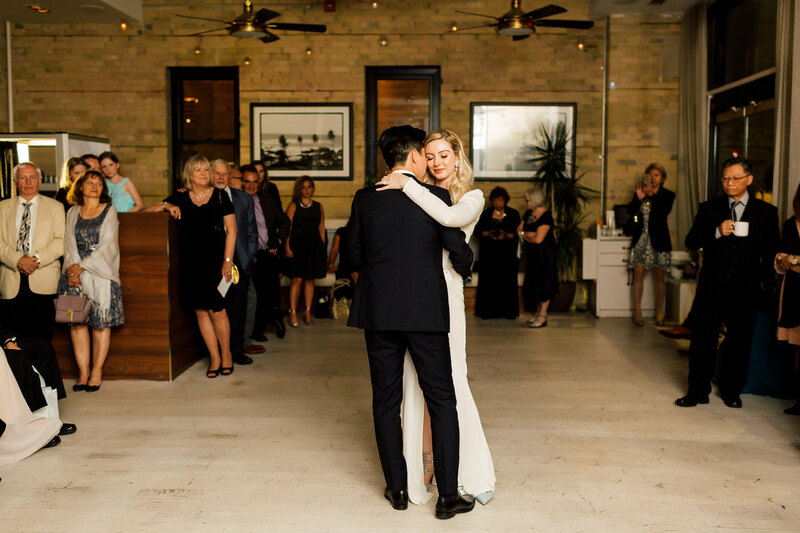 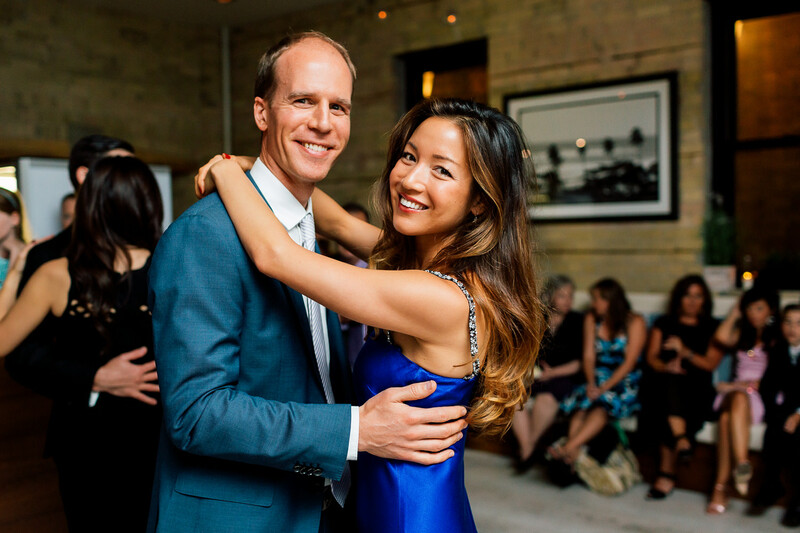 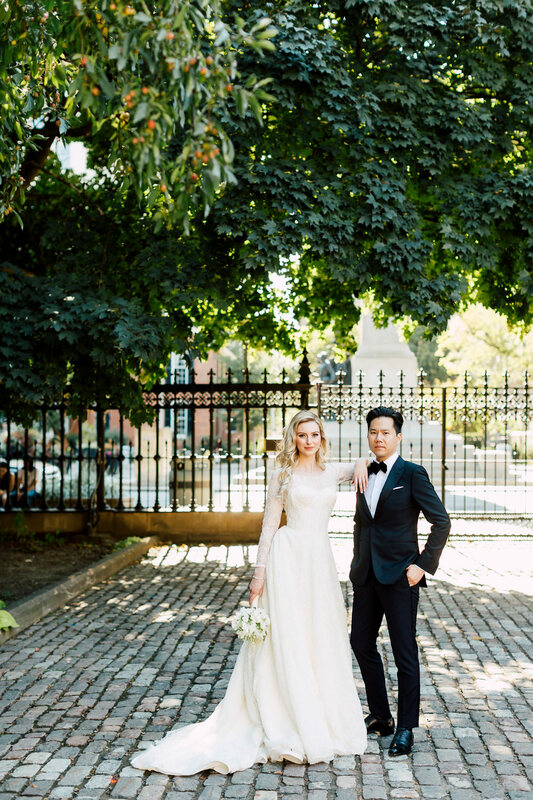 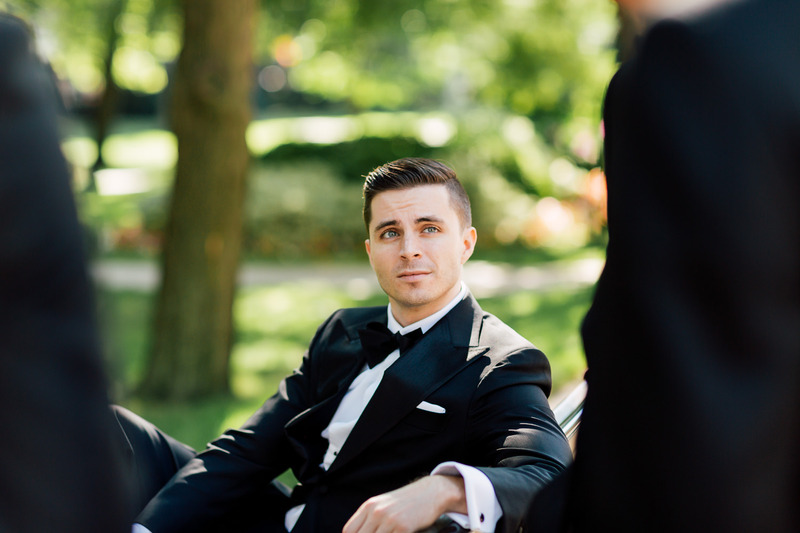 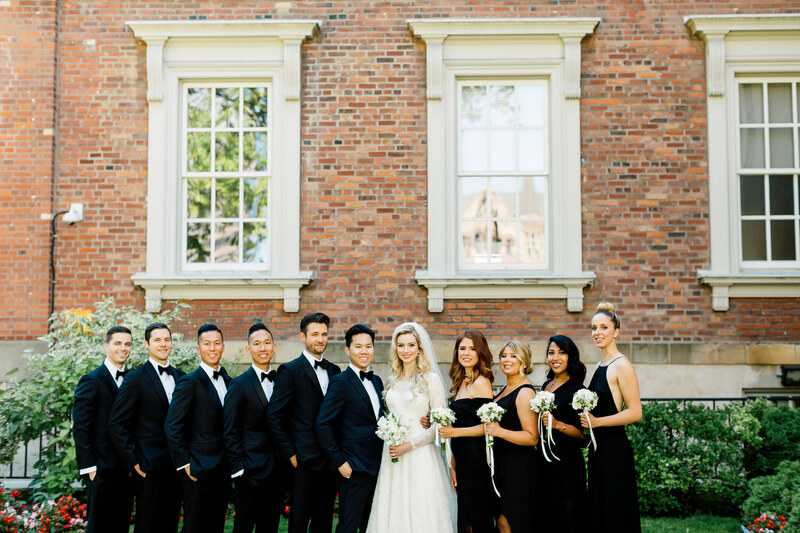 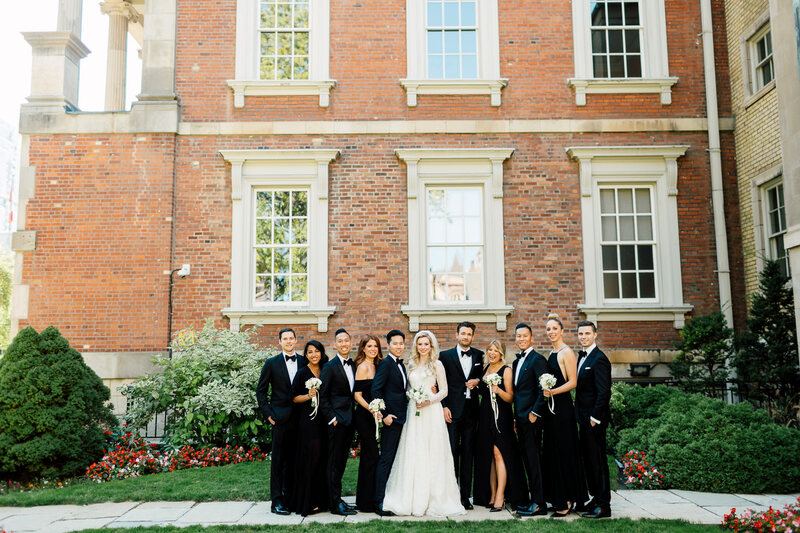 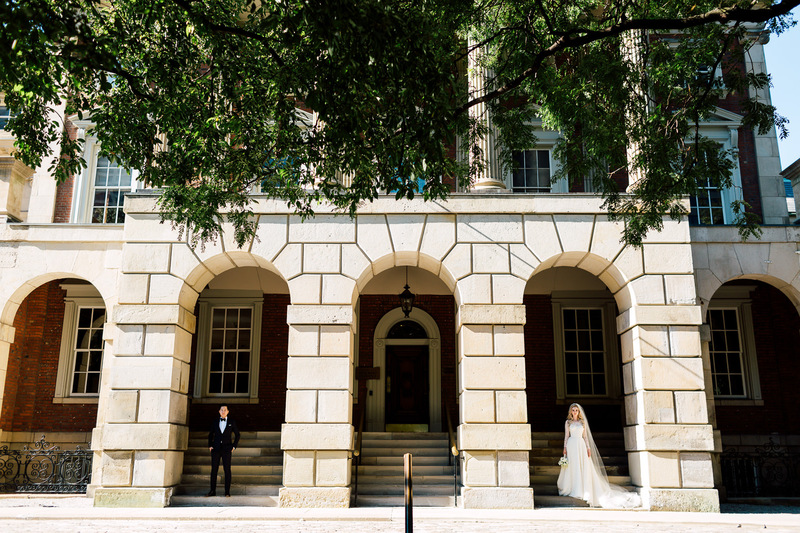 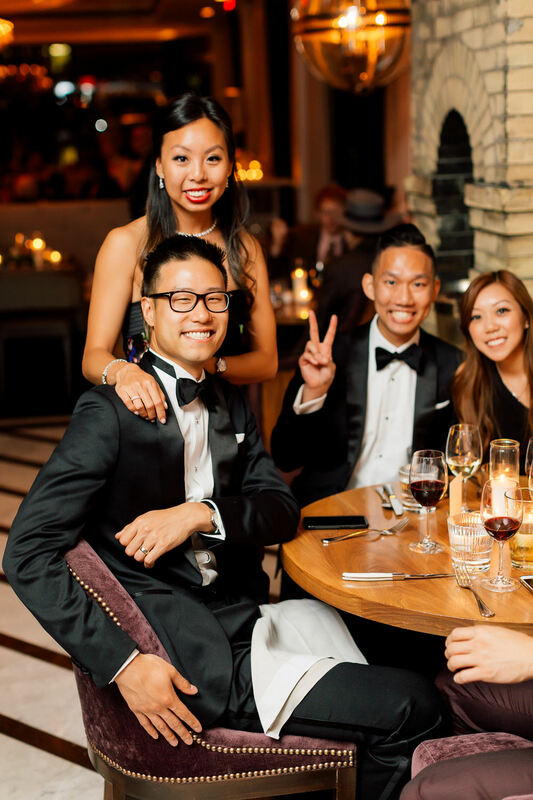 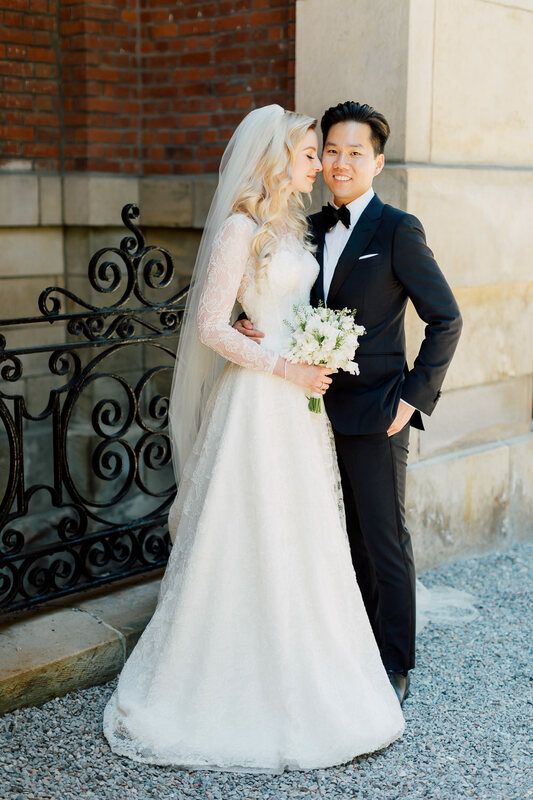 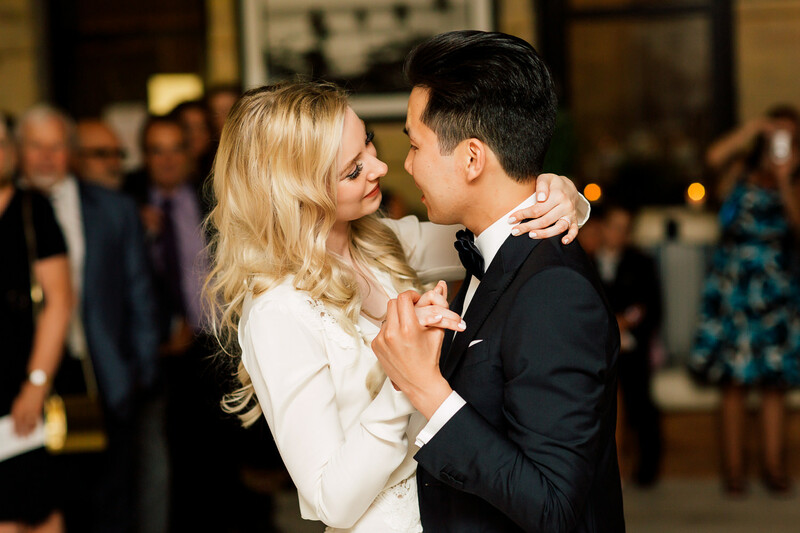 After taking portraits around Osgoode Hall, we took more photographs at the reception venue. 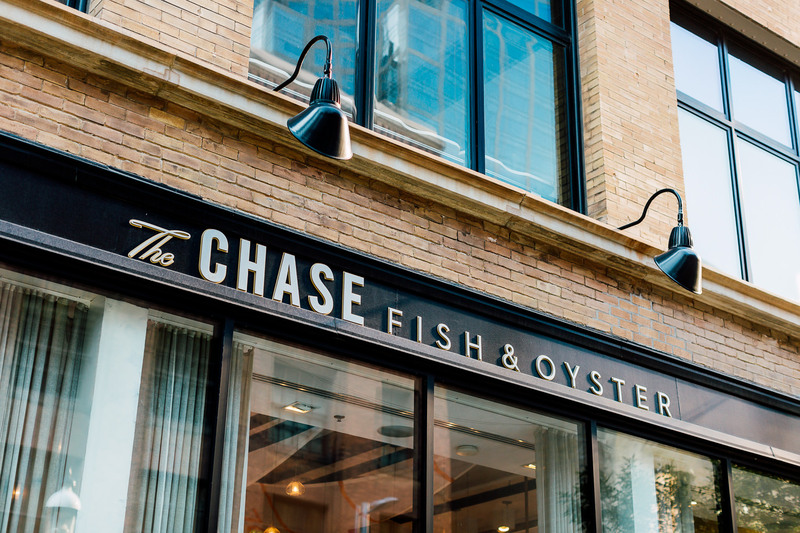 It was first time shooting at The Chase, and it was effortlessly picturesque! 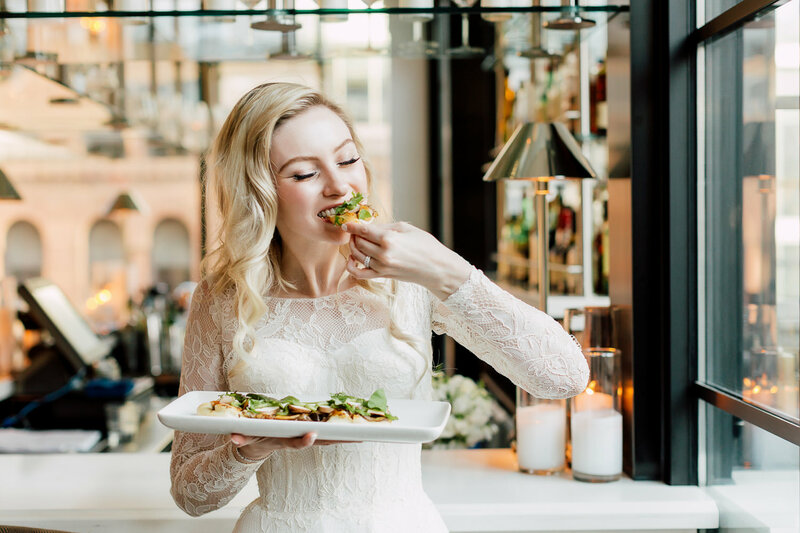 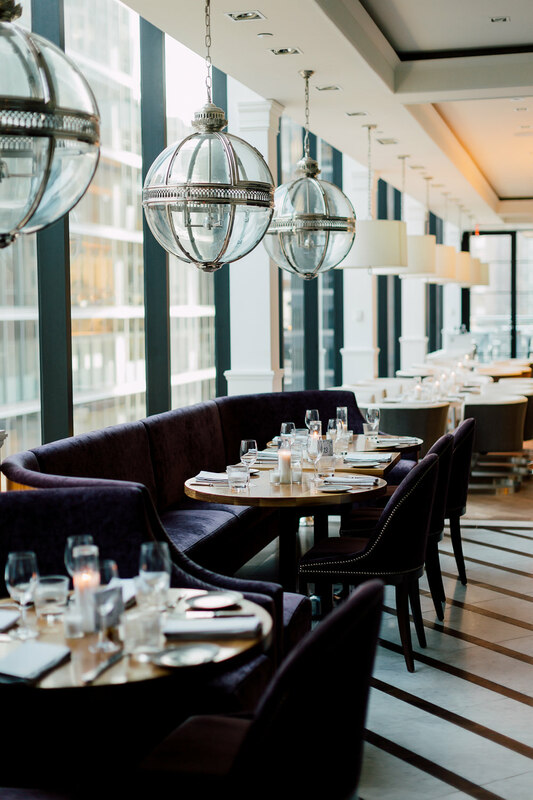 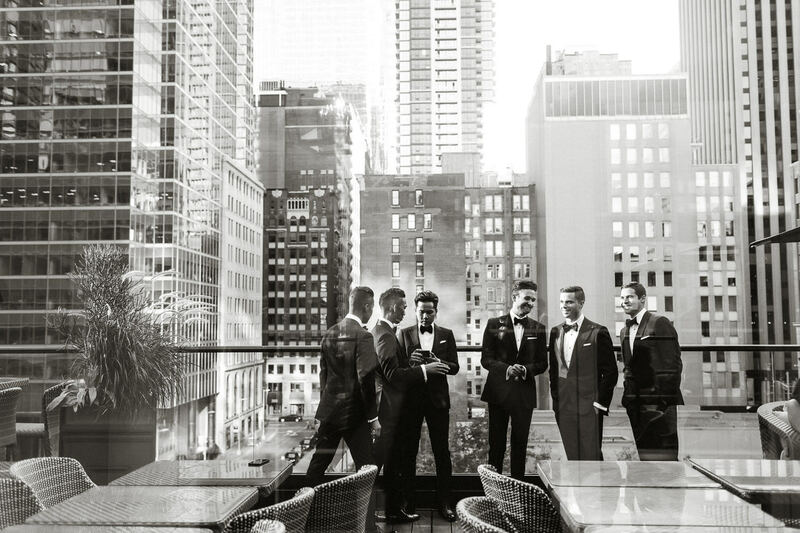 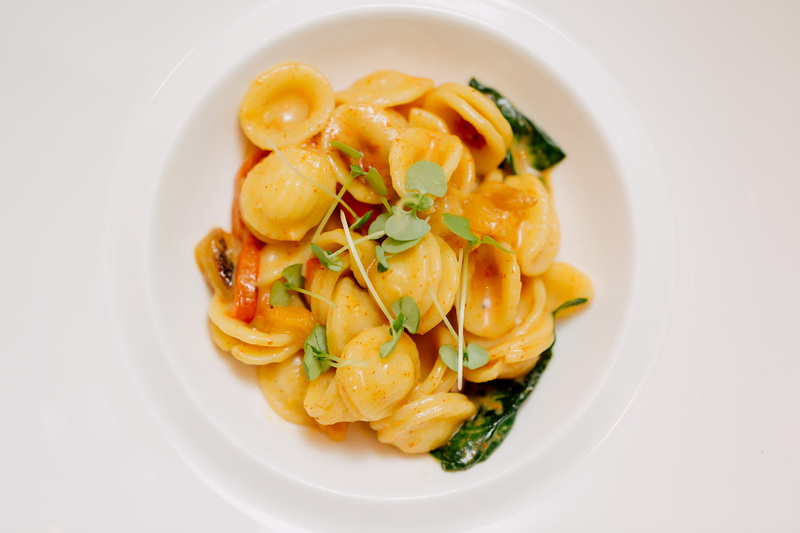 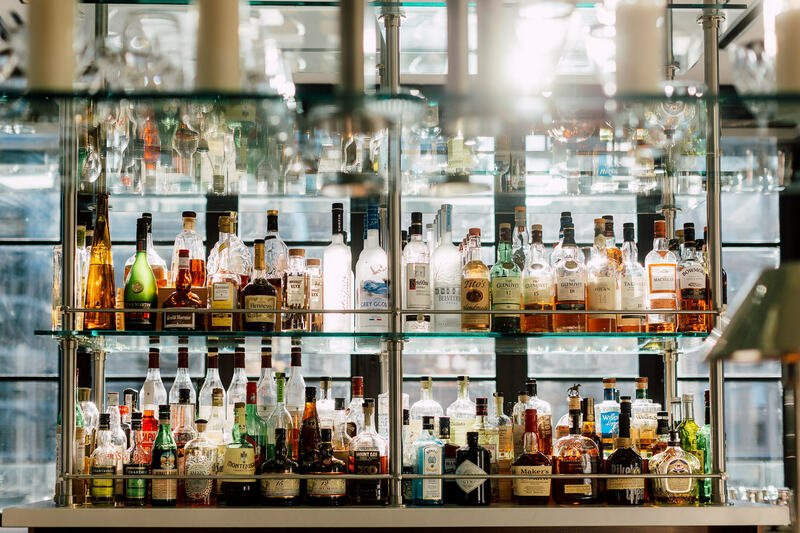 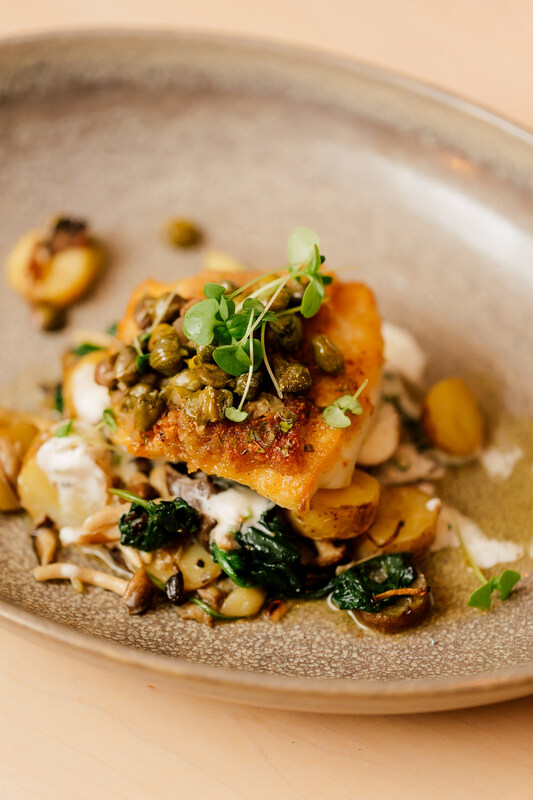 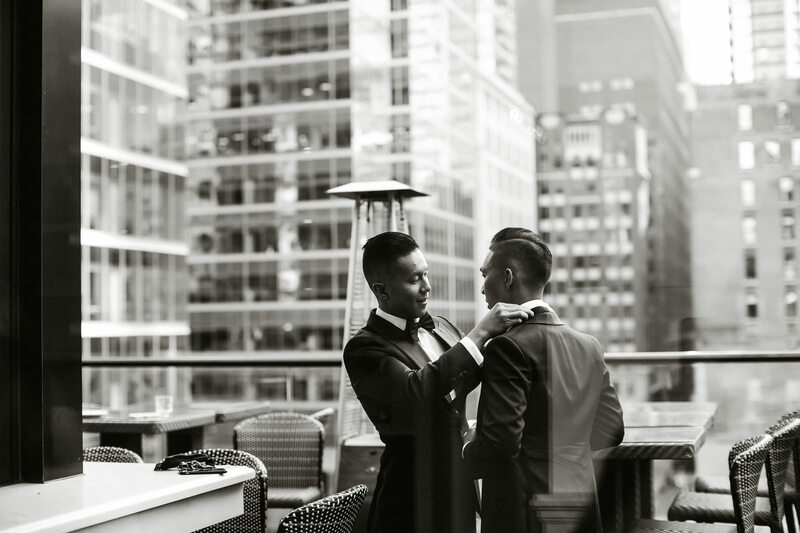 The restaurant takes upscale dining into a new literal level by providing a stunning view of downtown Toronto from their rooftop patio. 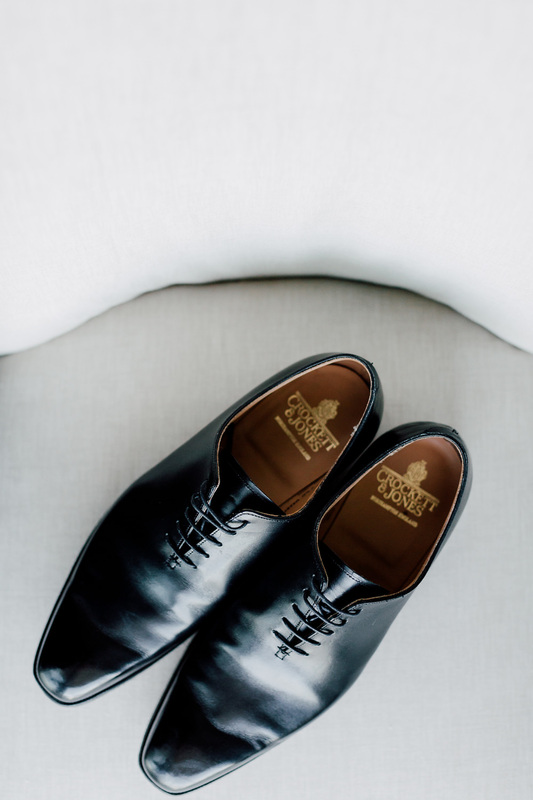 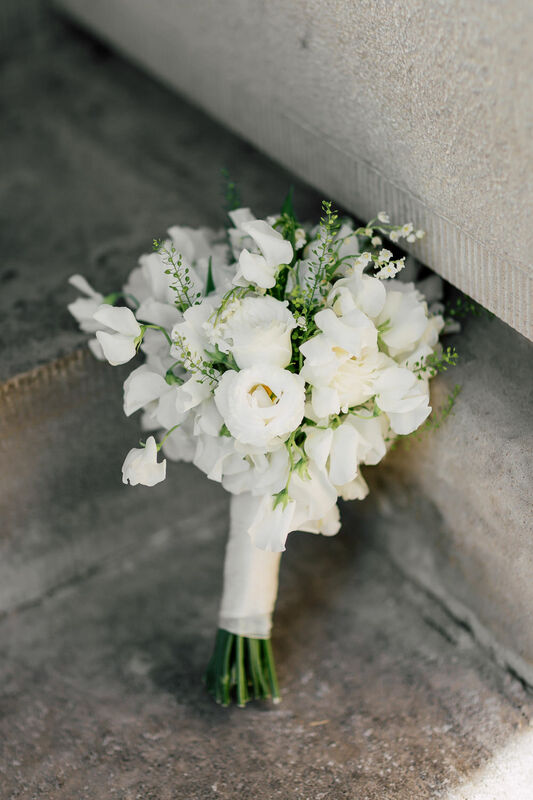 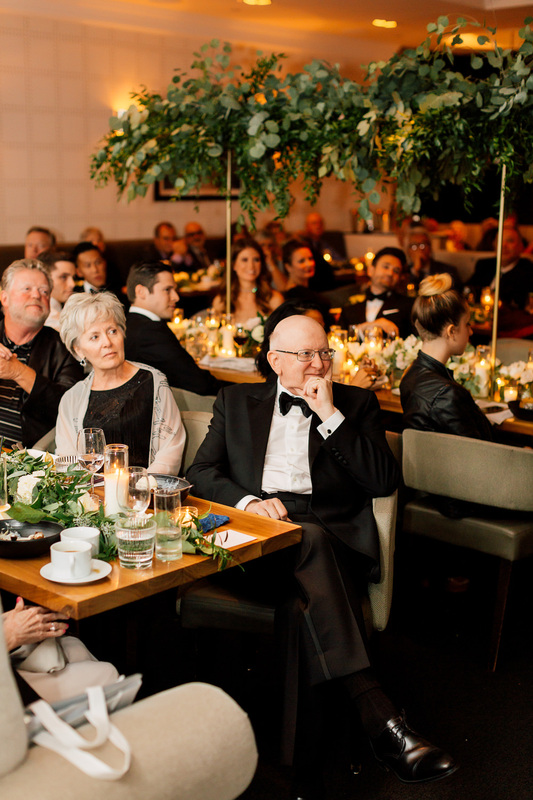 The ambiance of timeless elegance the couple carried with them was brought into the venue. 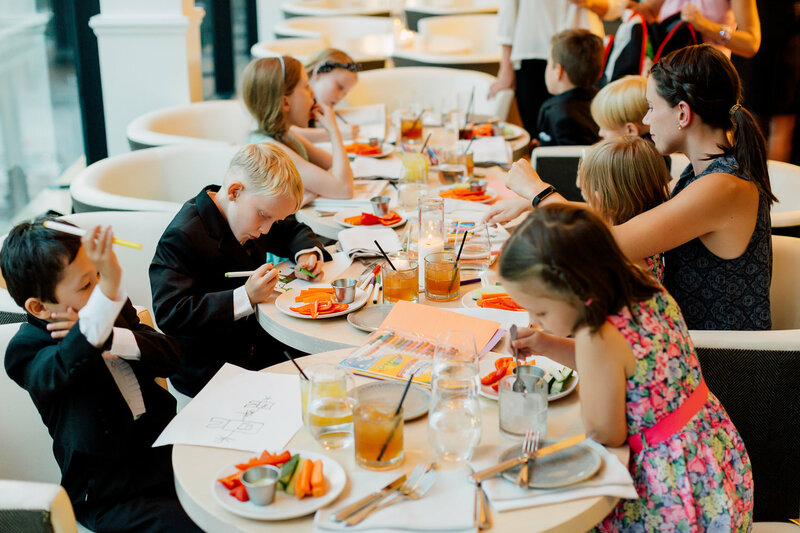 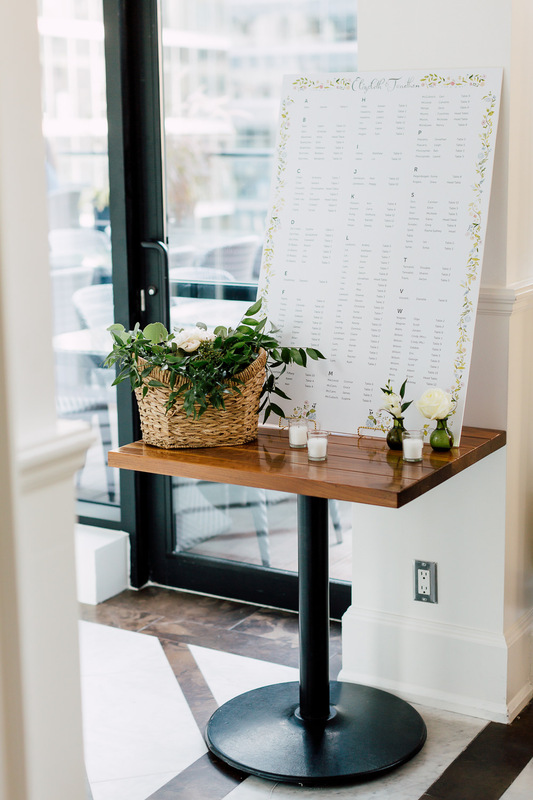 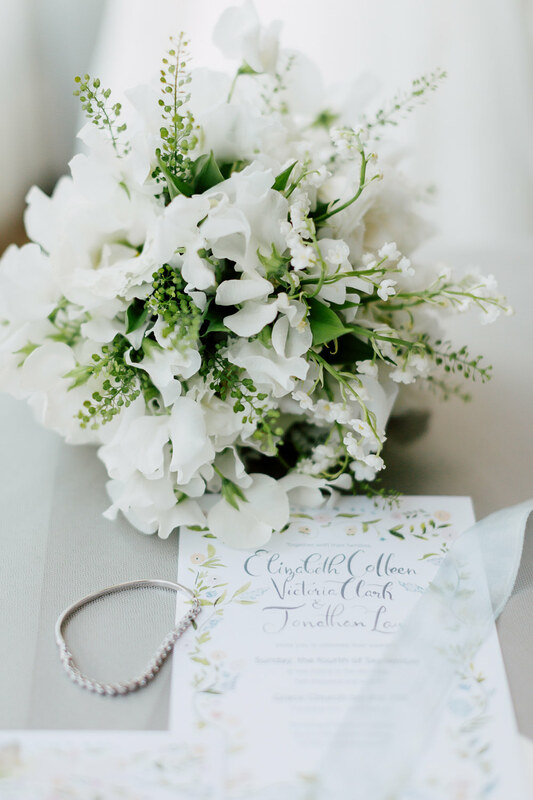 When you’ve got a planner like Shaelyn, it’s guaranteed that your reception will be decorated perfectly to match the style of your wedding. 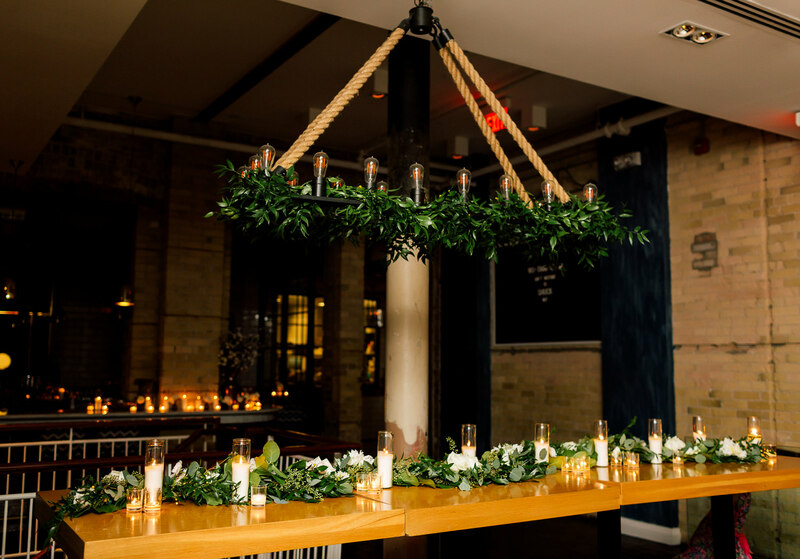 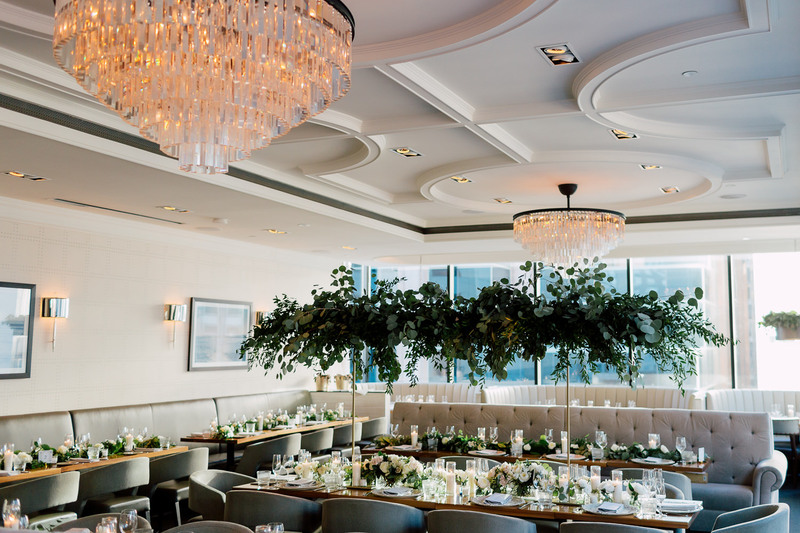 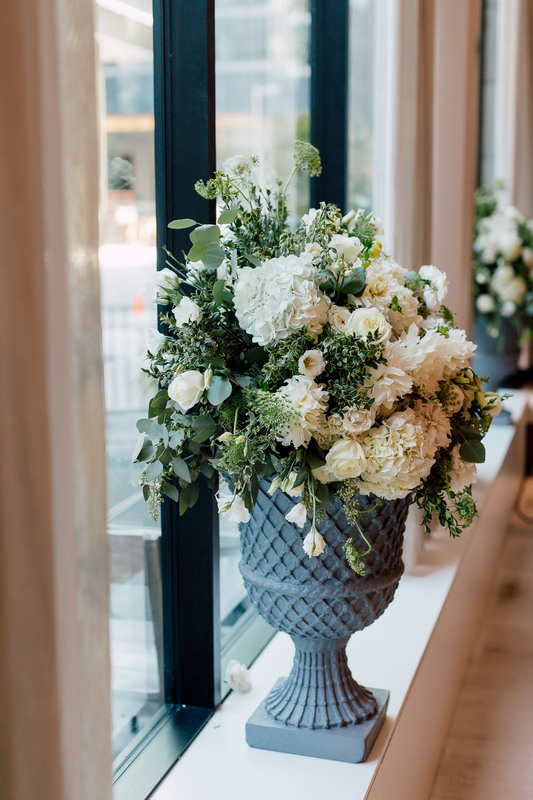 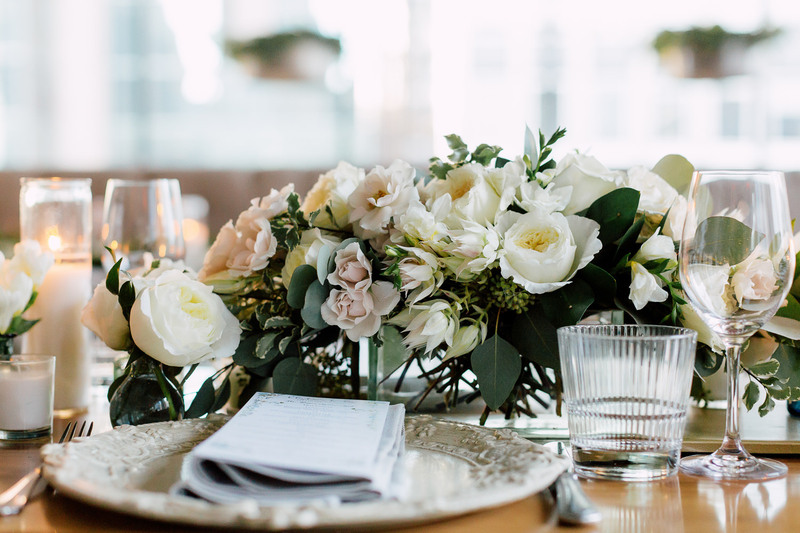 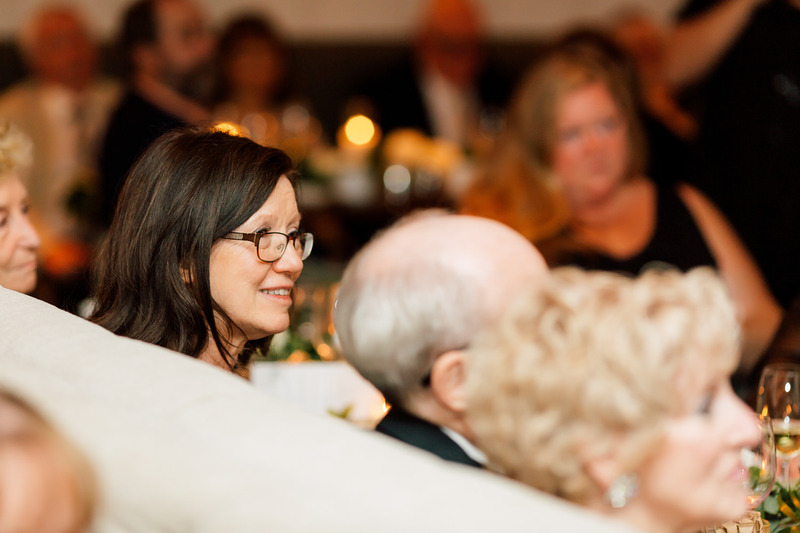 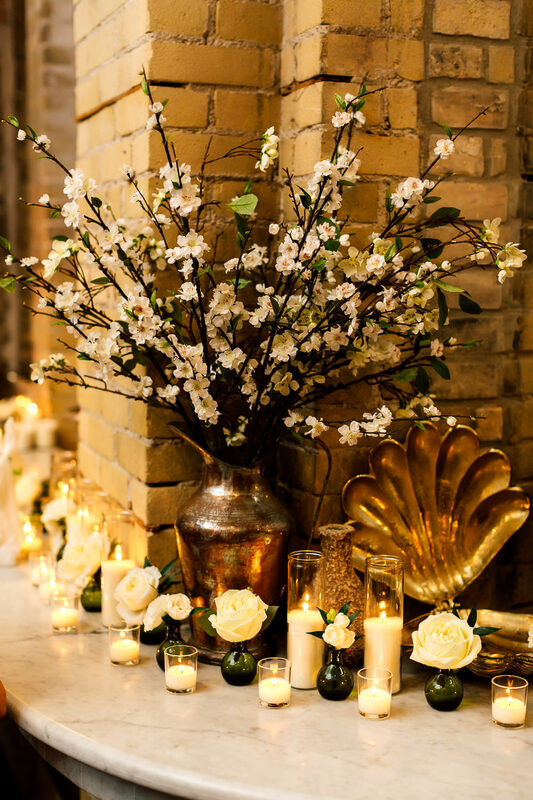 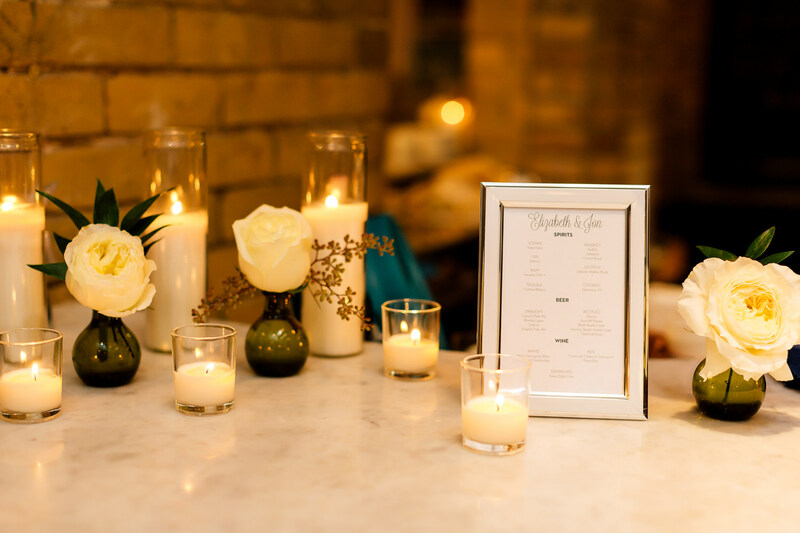 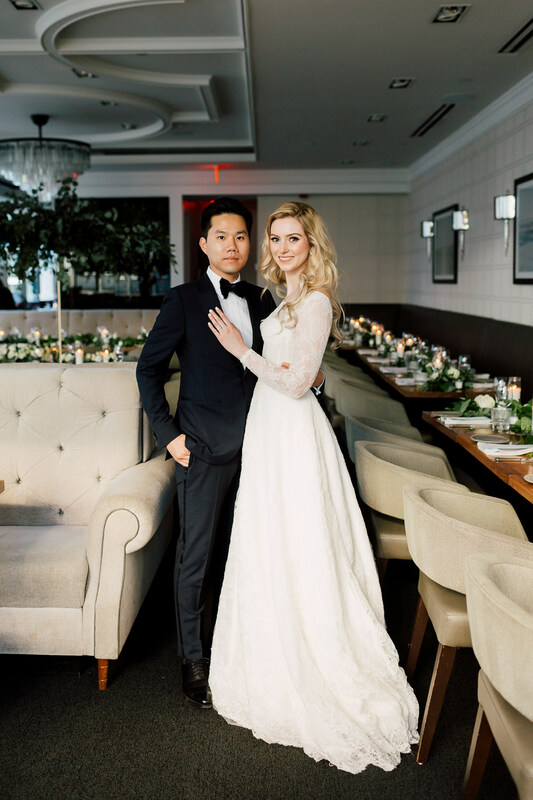 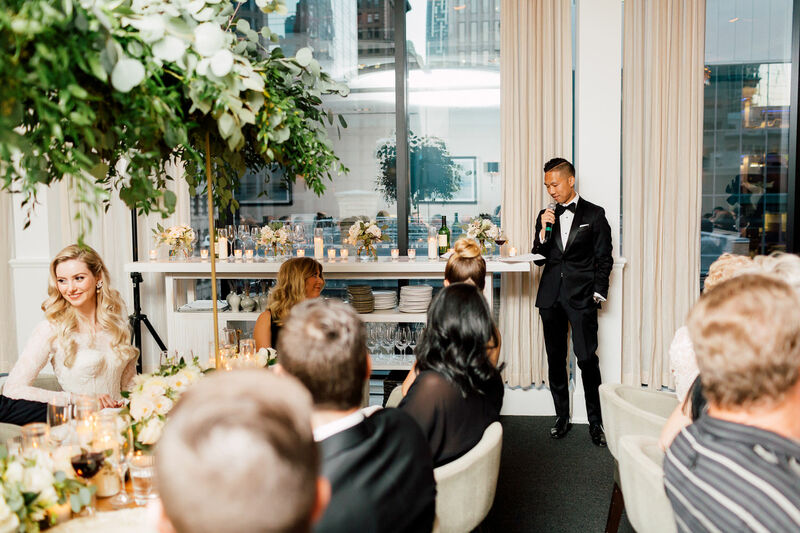 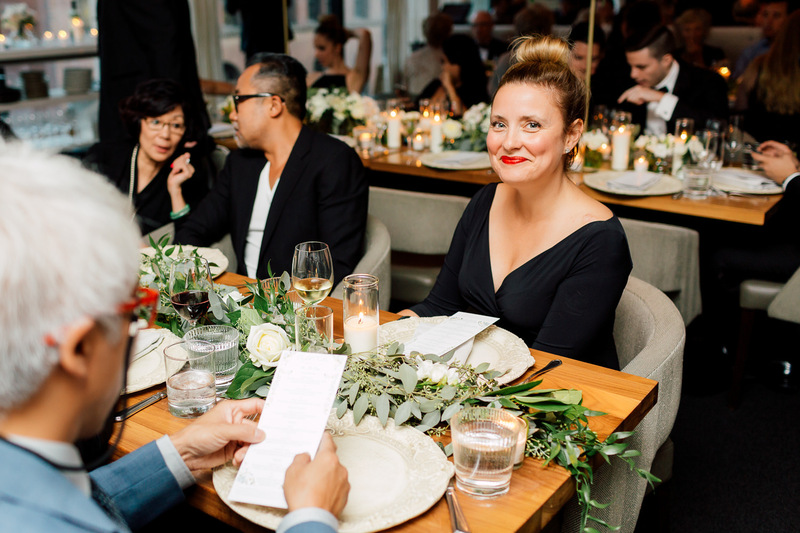 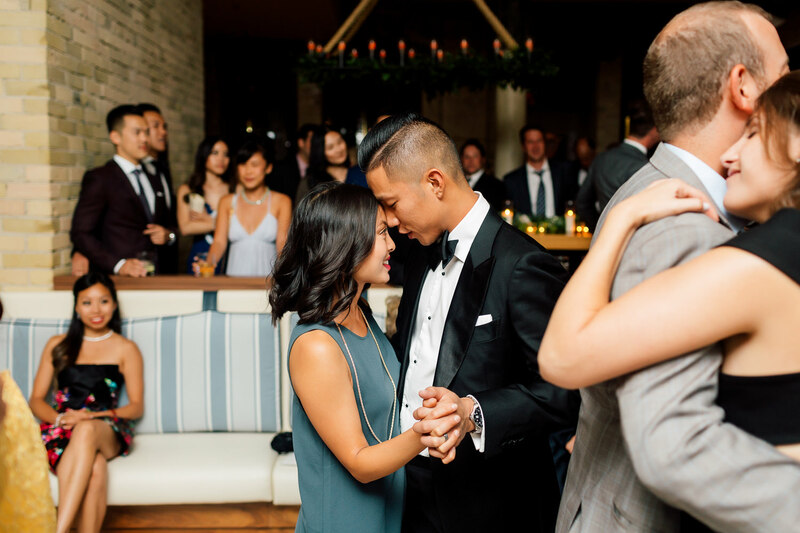 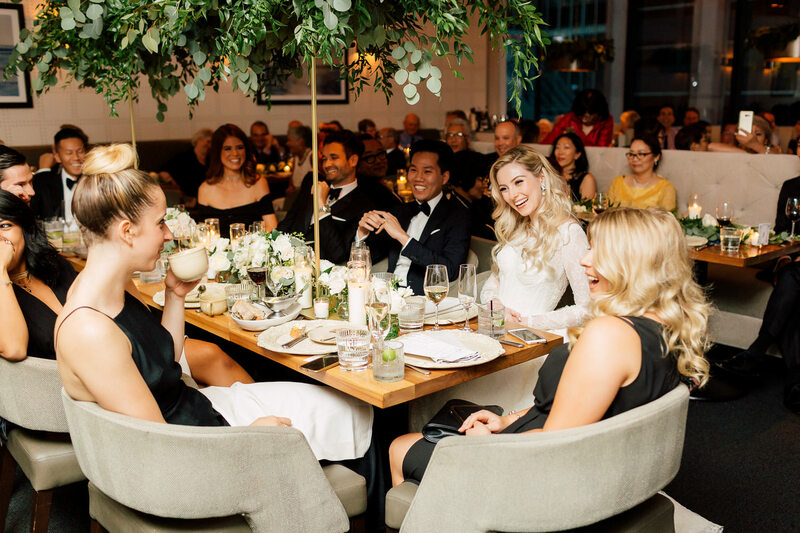 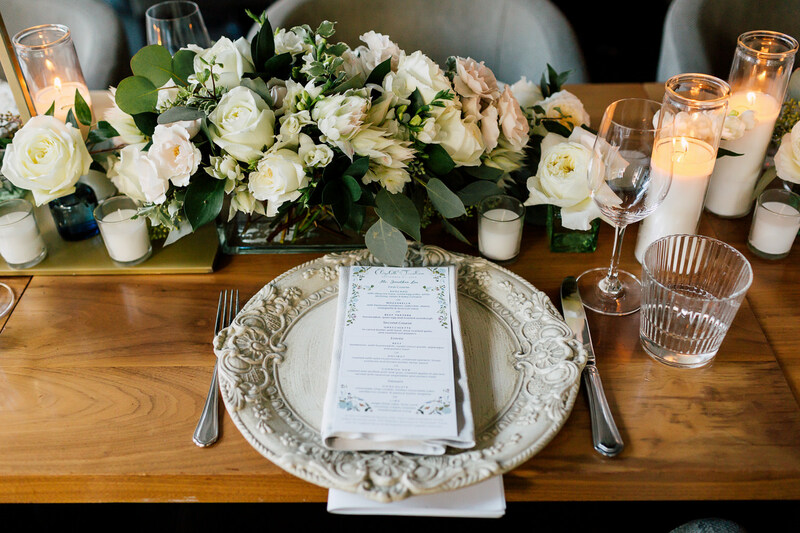 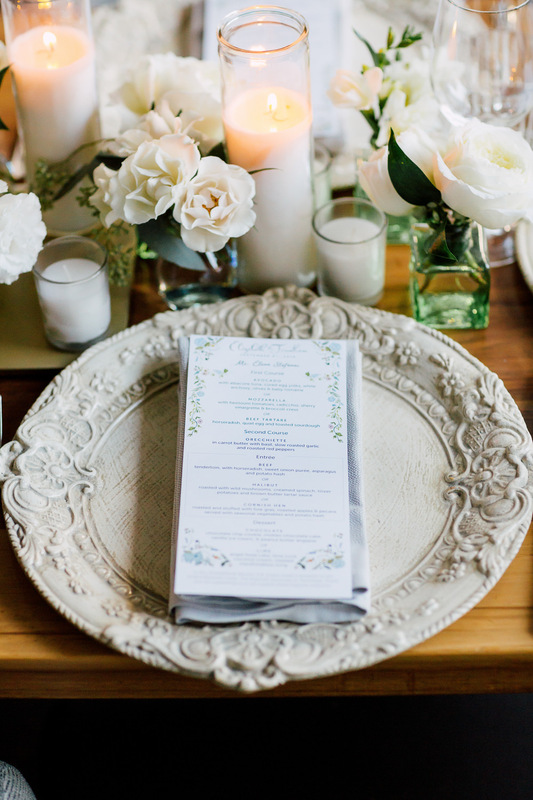 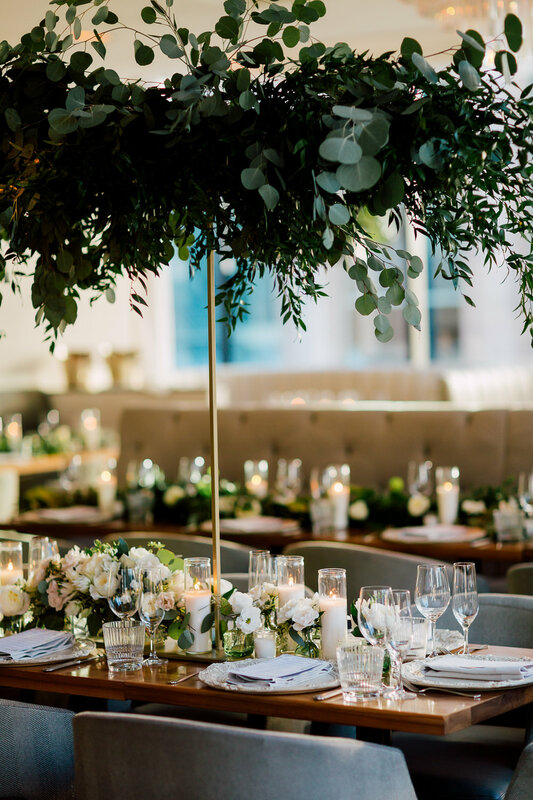 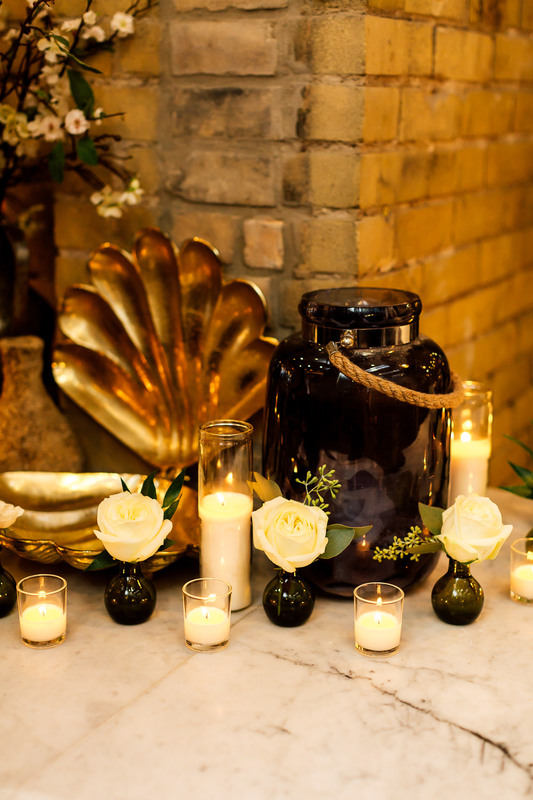 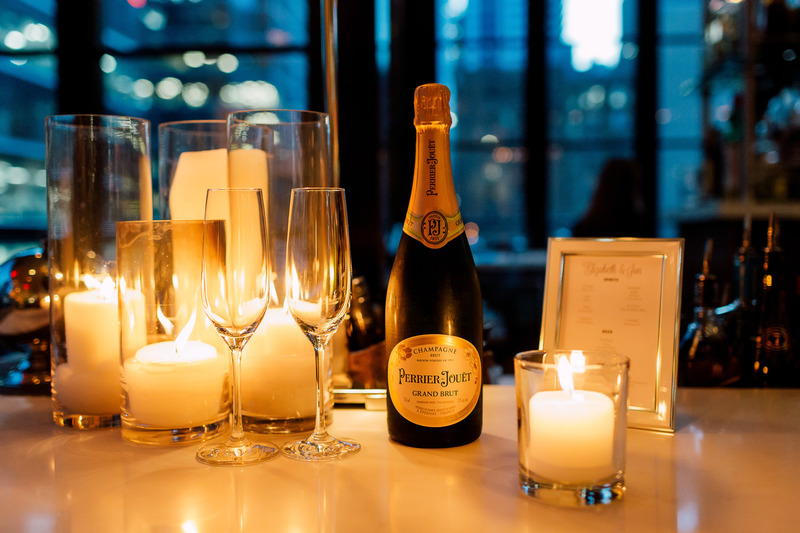 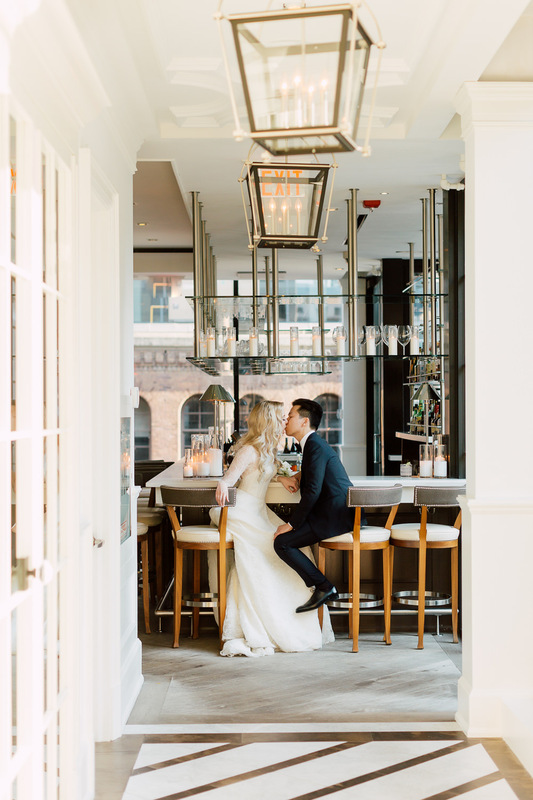 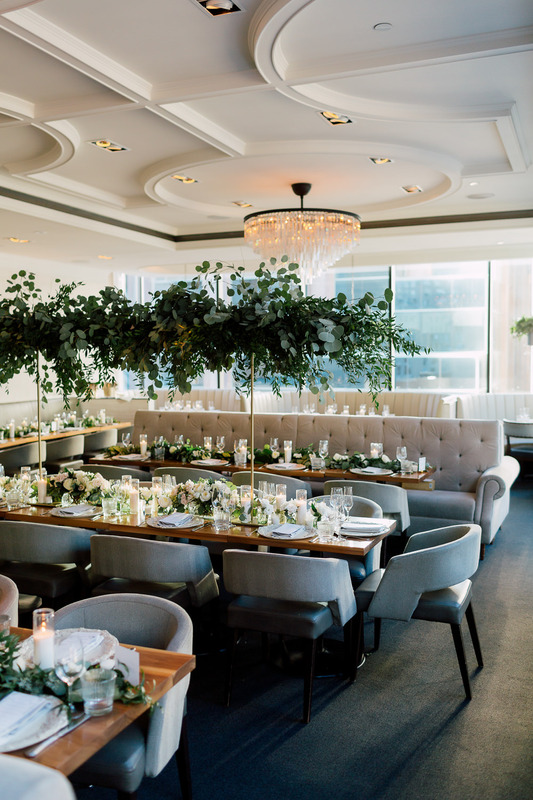 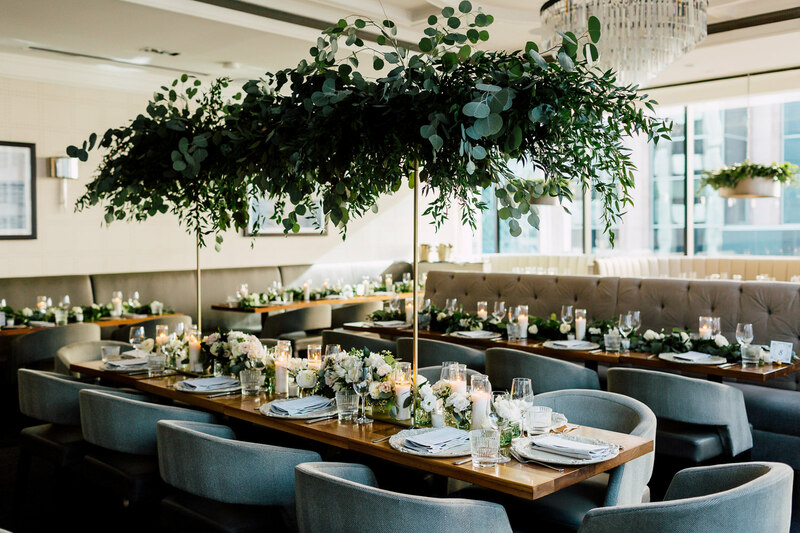 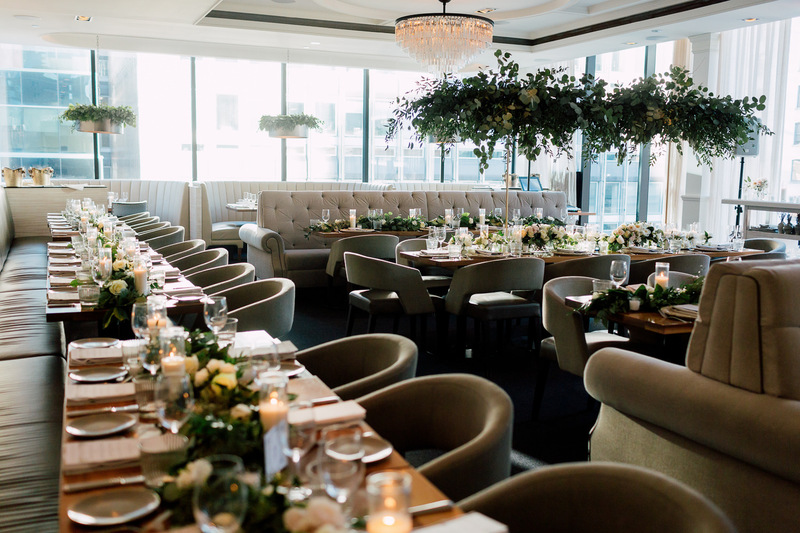 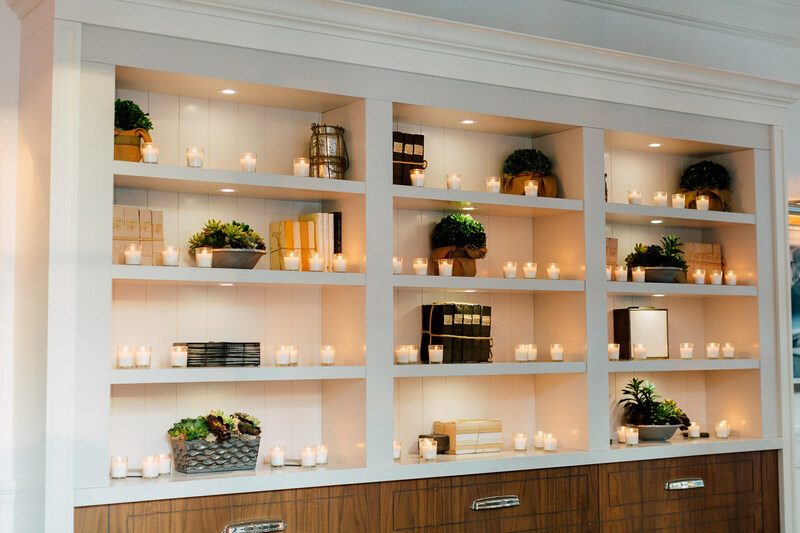 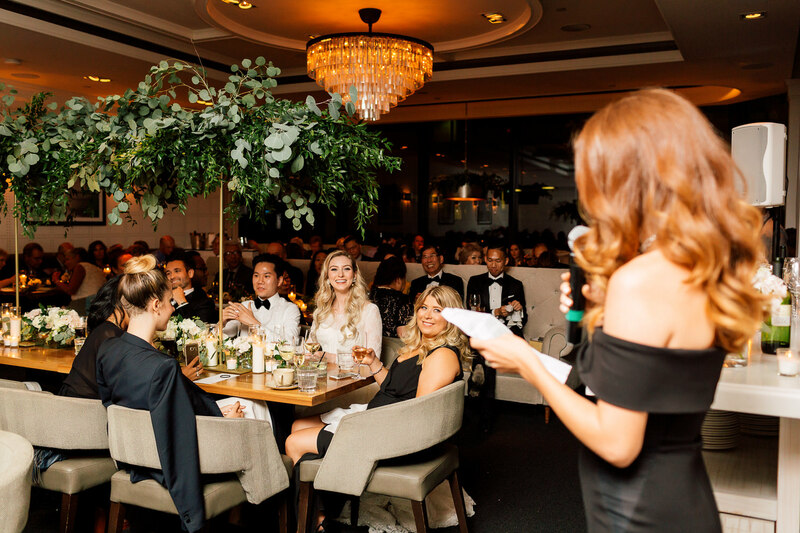 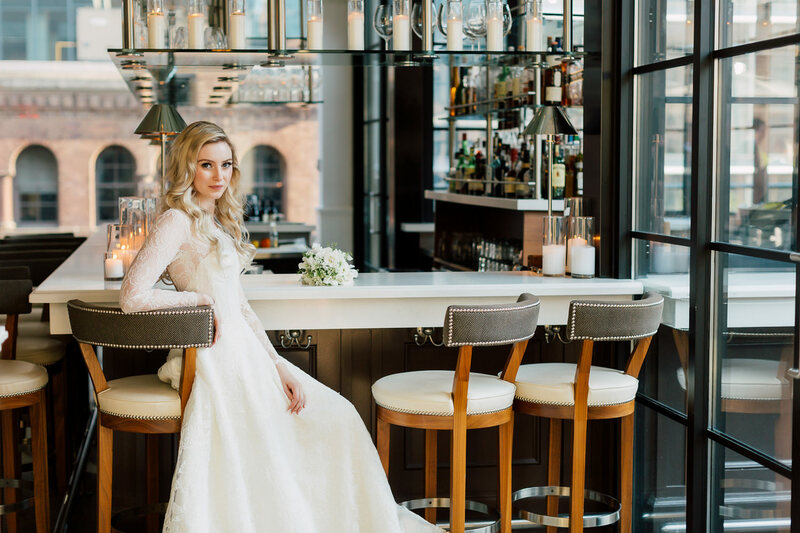 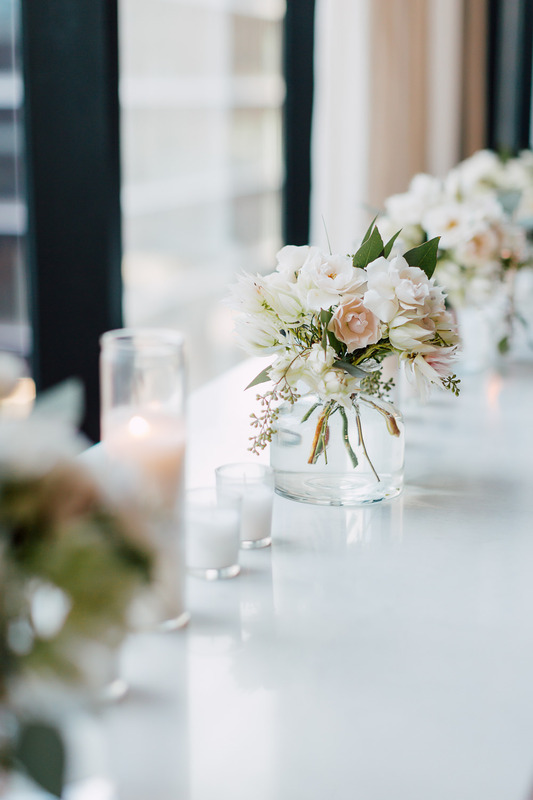 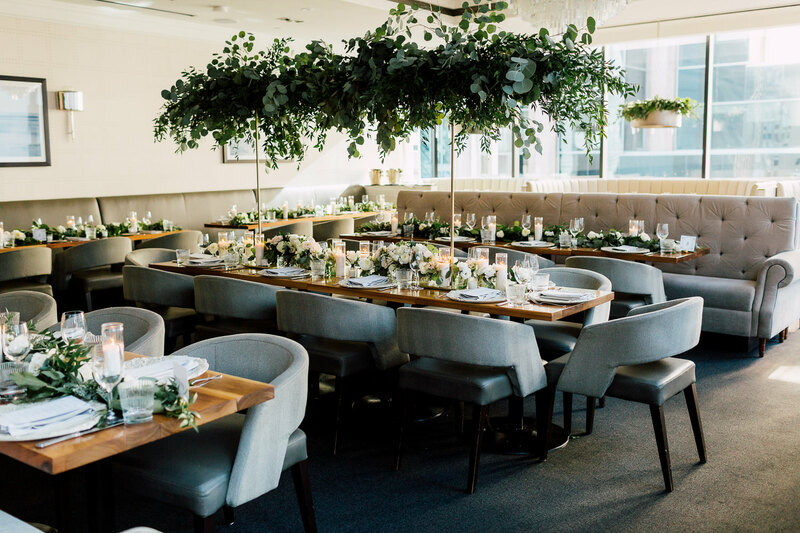 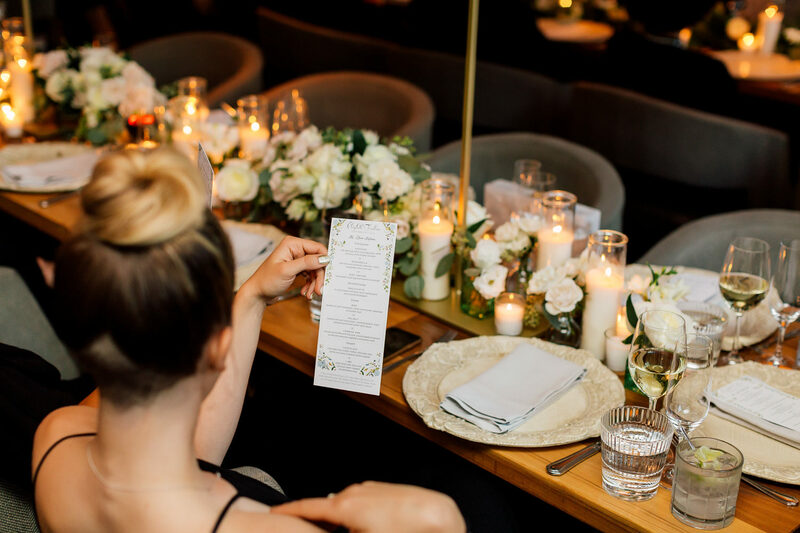 She transformed the interior of The Chase into a charming and cozy space for an intimate celebration. 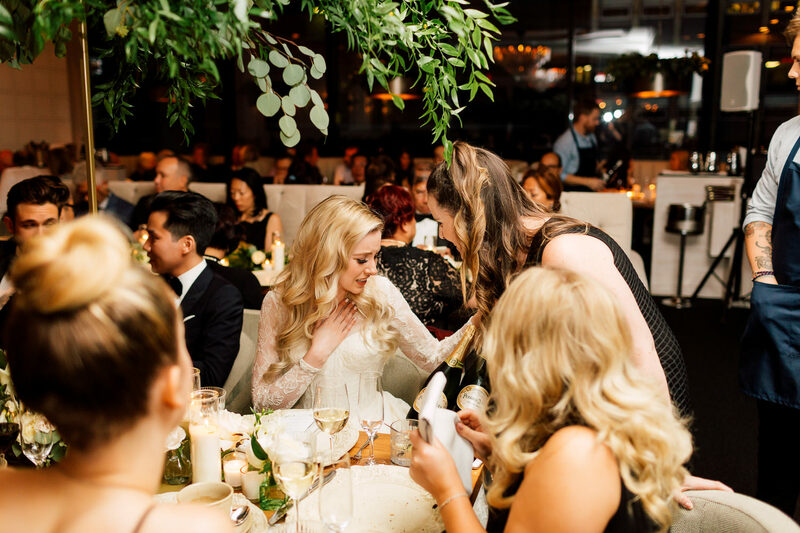 Amongst the emotional and hilarious speeches, WedLuxe founder, Angela surprised Elizabeth with 2 bottles of champagne. 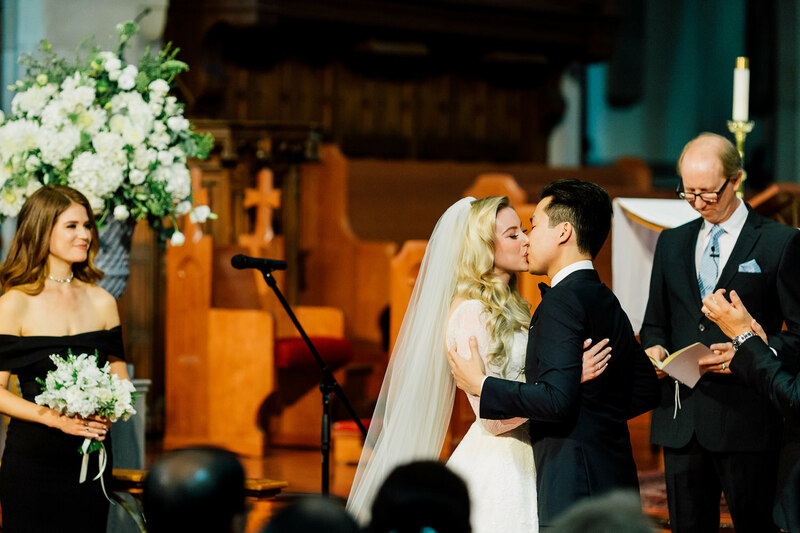 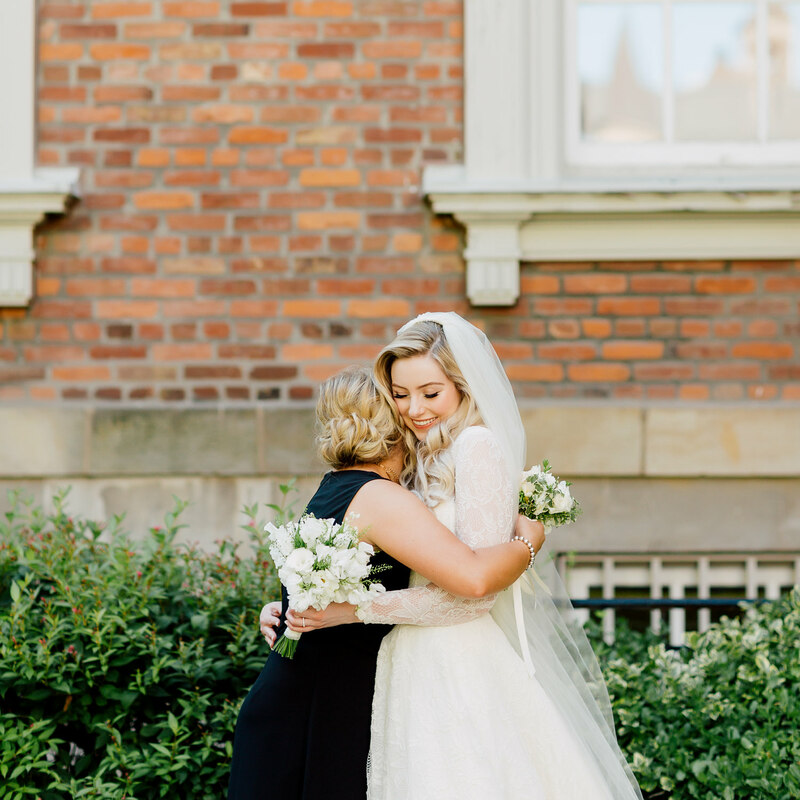 We were so glad we were able to capture such a touching moment! 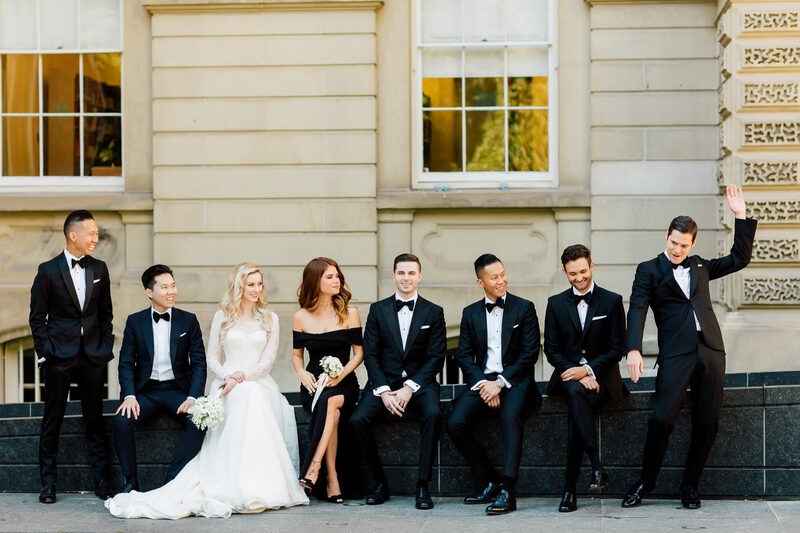 From beginning to end, we were smiling along with the couple behind the camera. 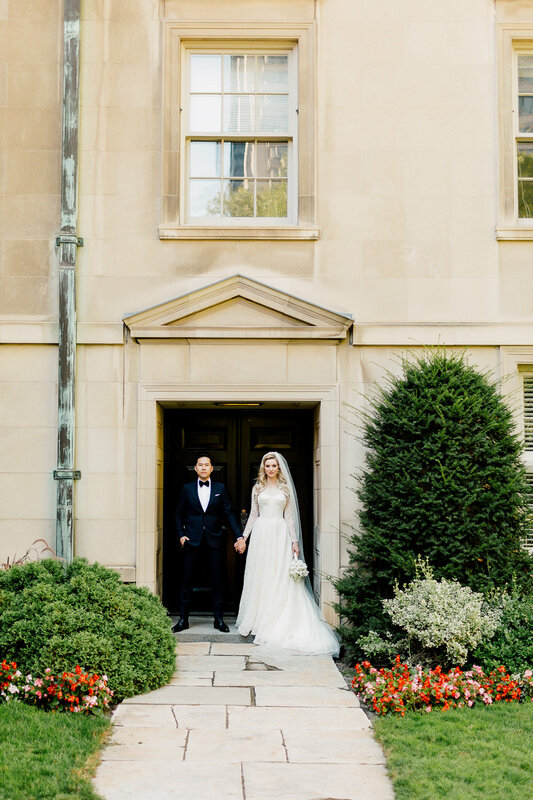 We can’t get over how perfect everything came to be. 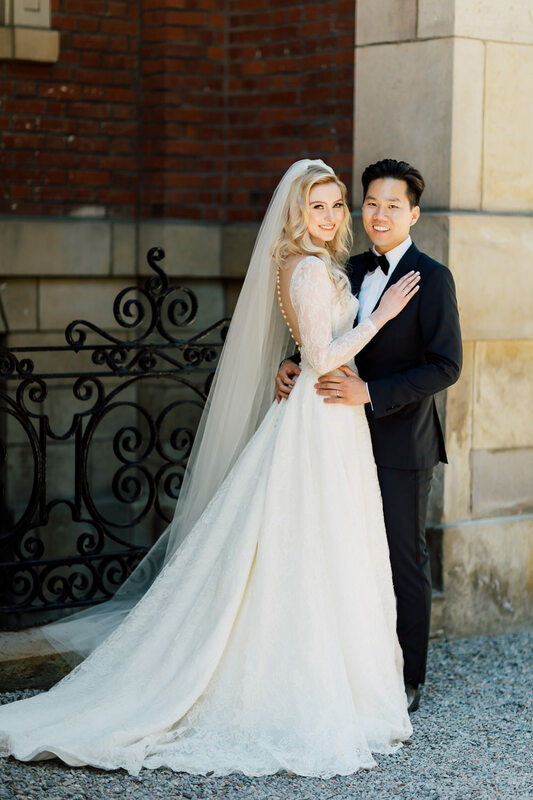 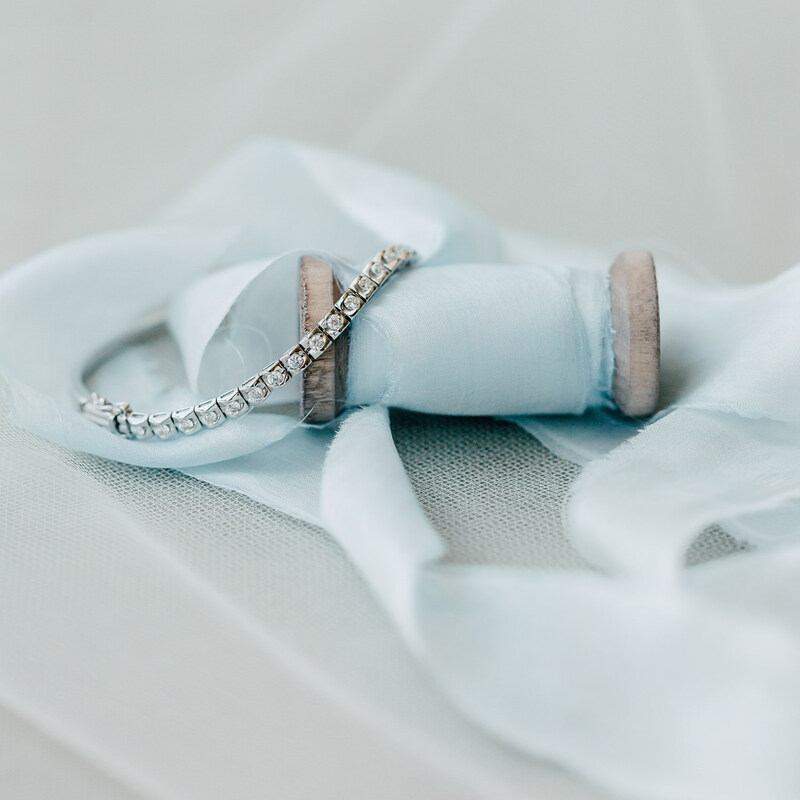 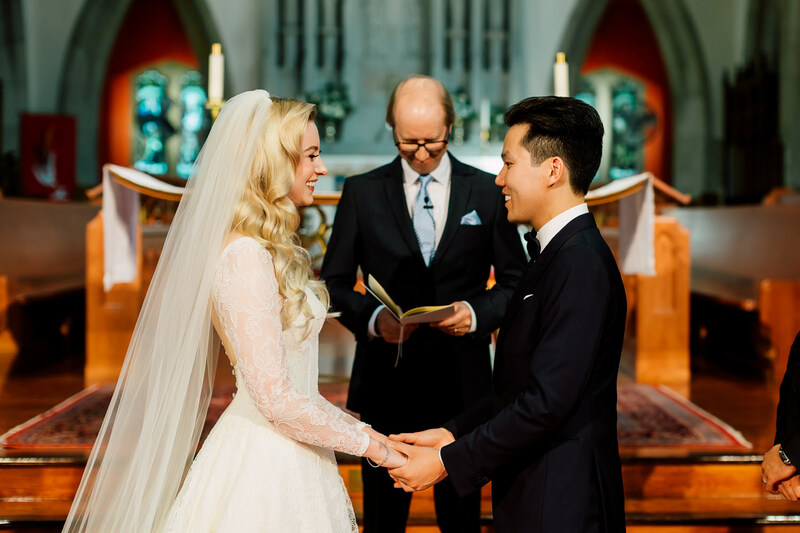 We wish Elizabeth and Jonathan all the happiness in their ever after!